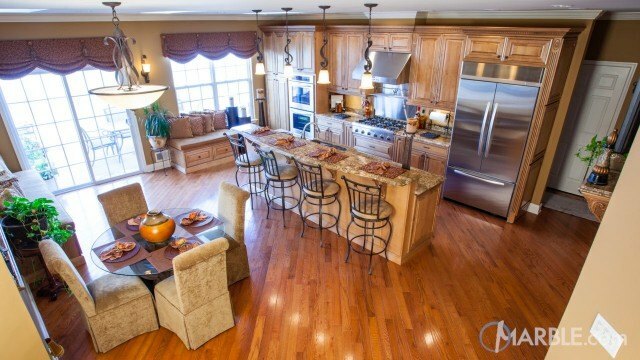 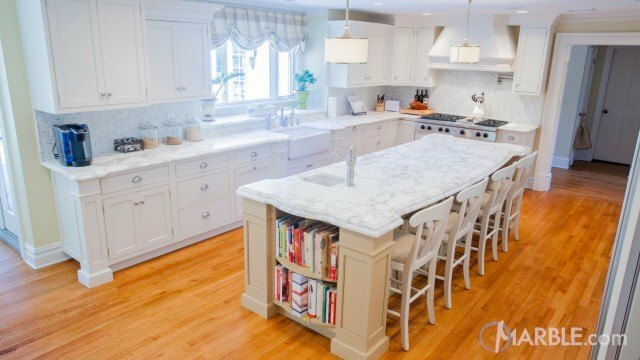 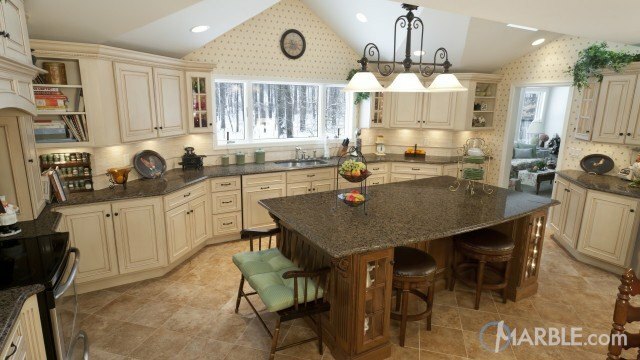 Rustic and modern elements come together in this fabulous kitchen. 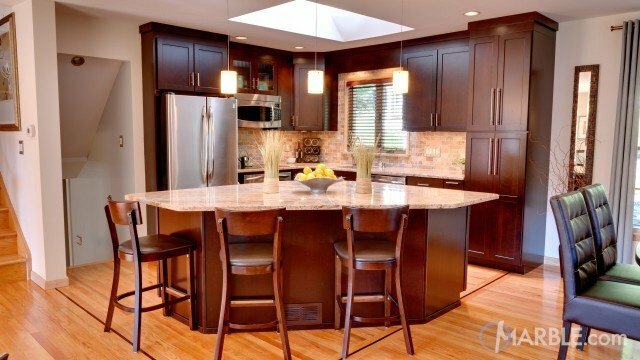 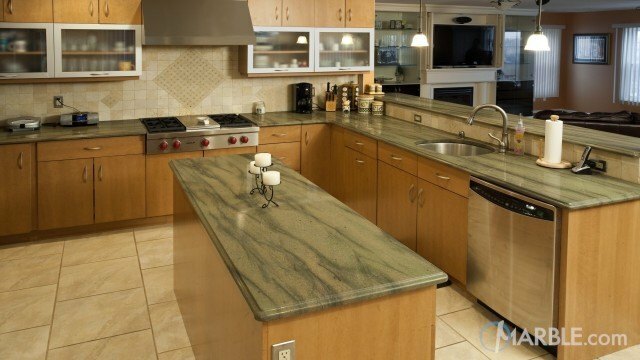 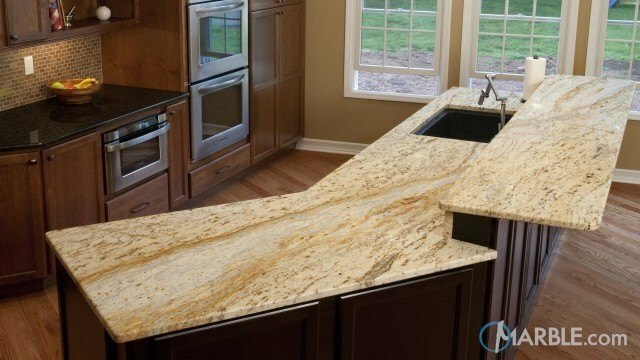 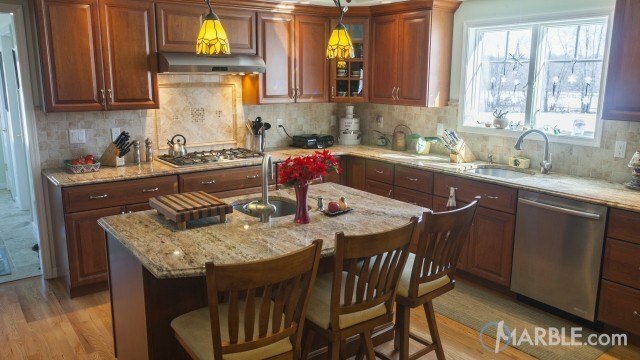 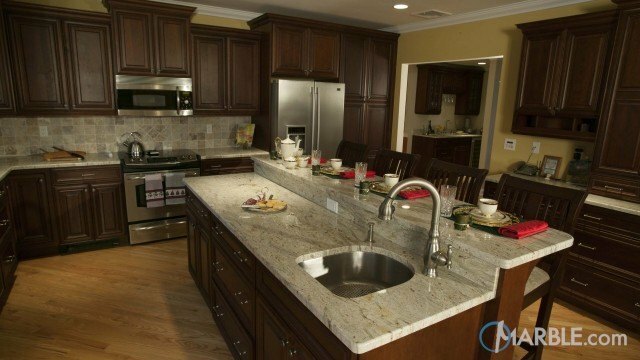 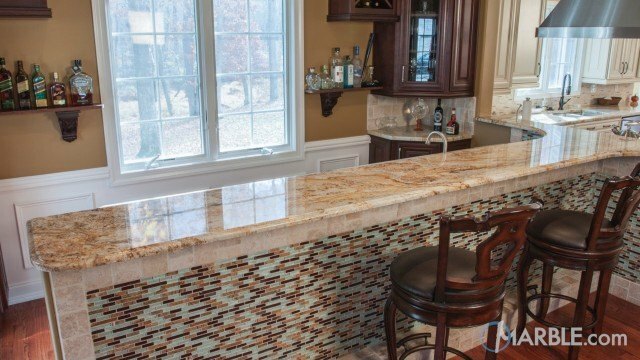 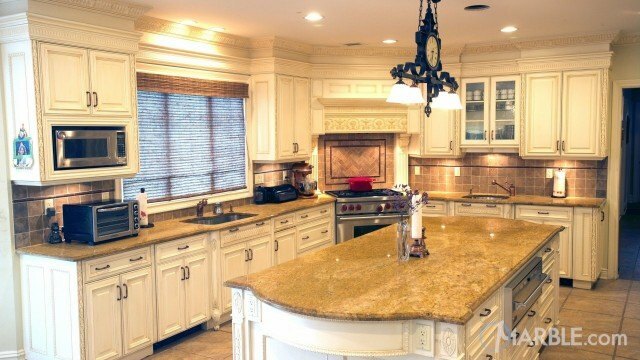 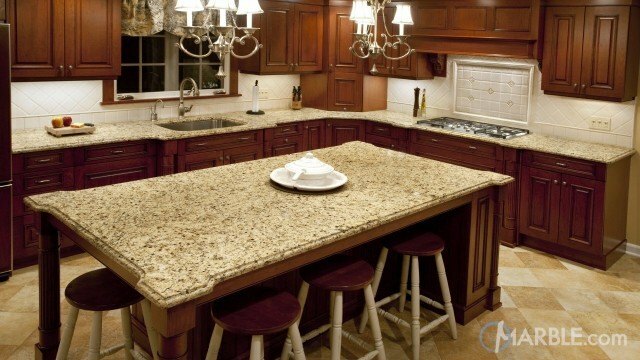 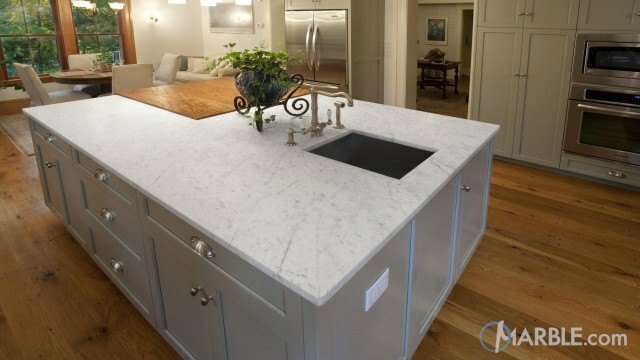 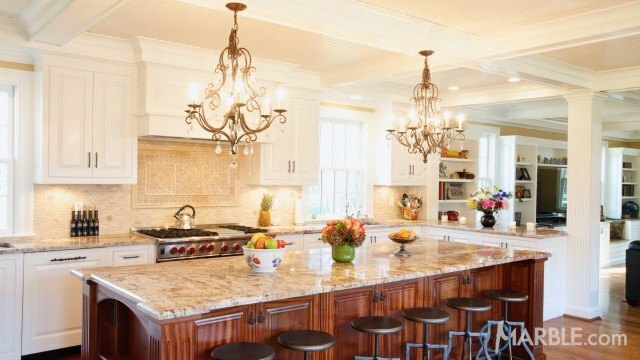 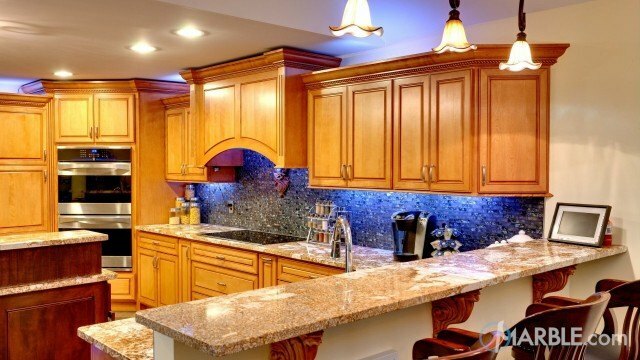 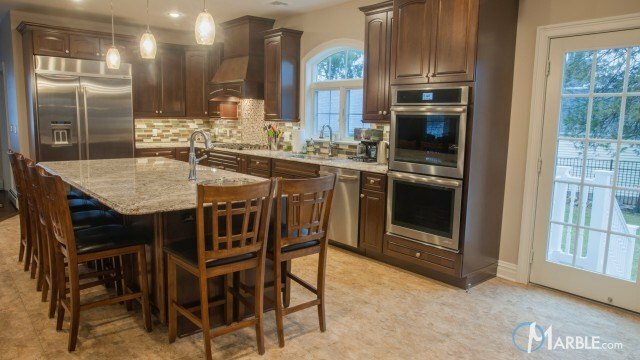 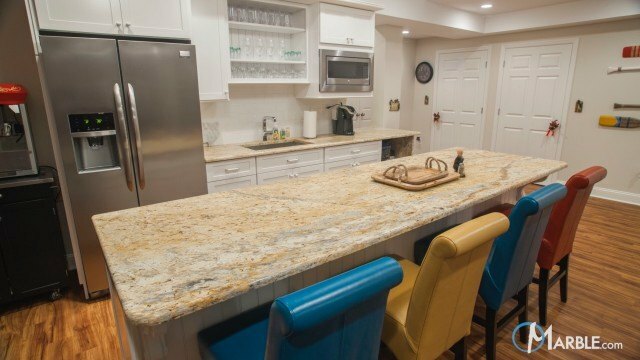 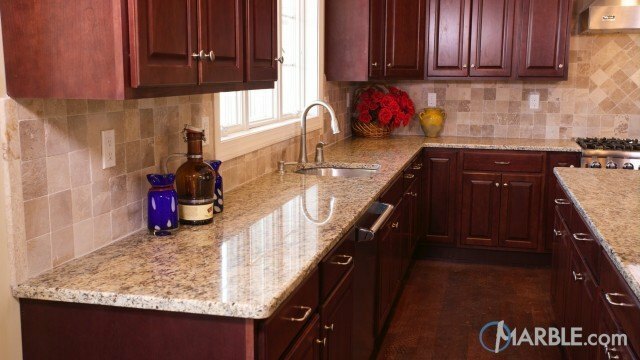 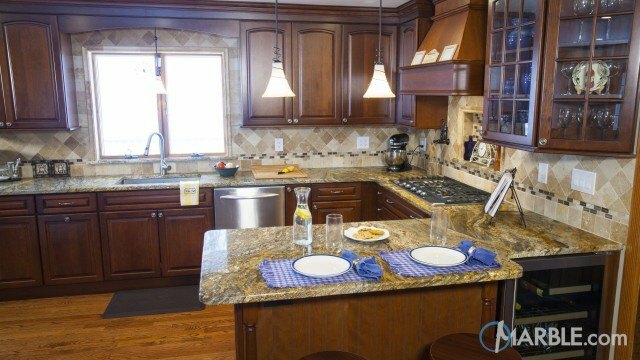 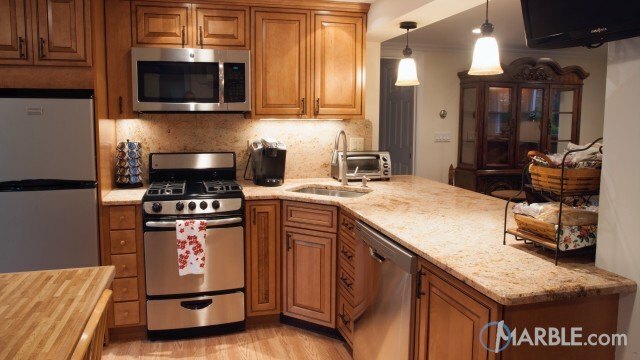 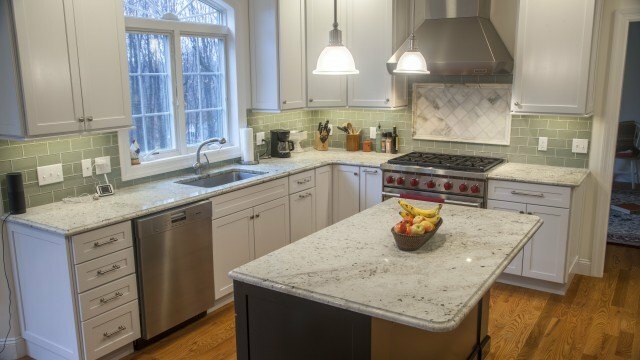 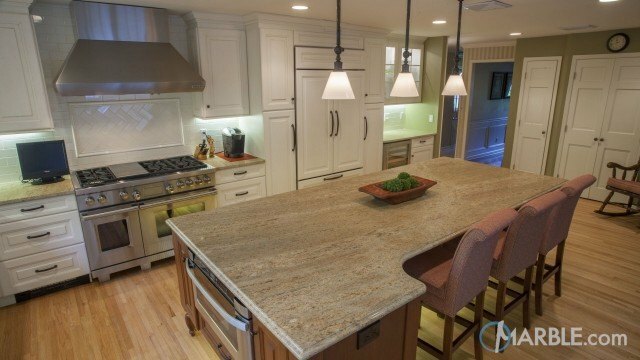 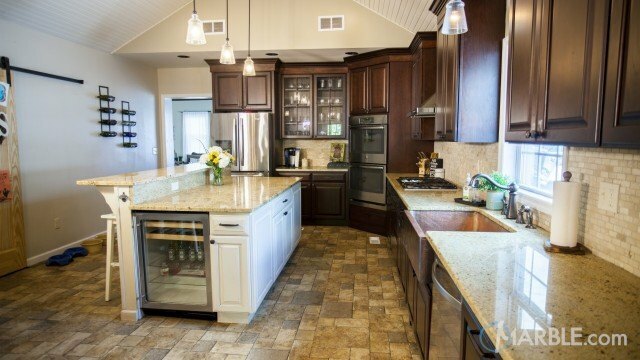 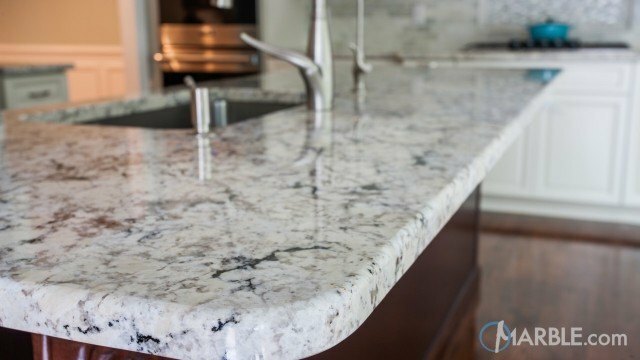 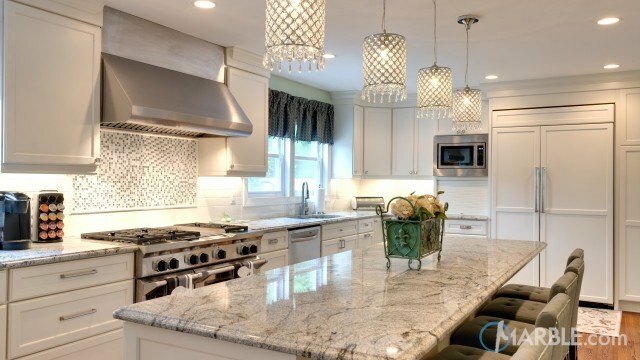 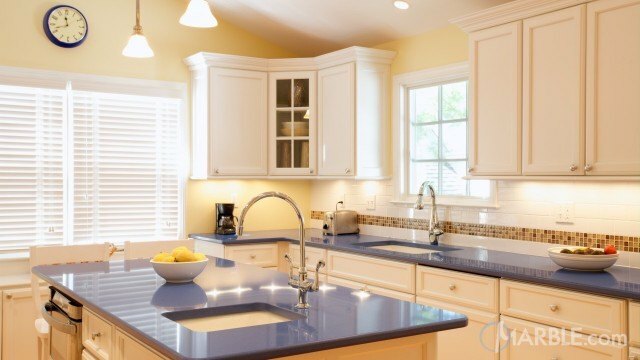 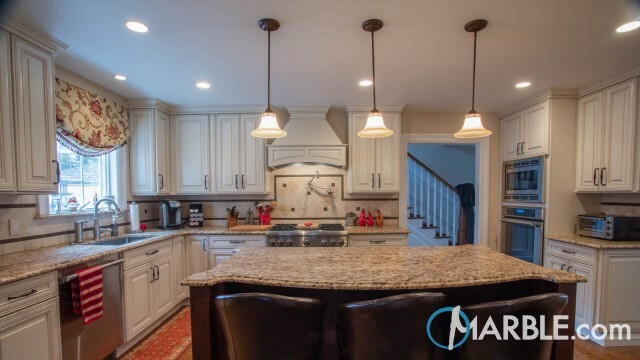 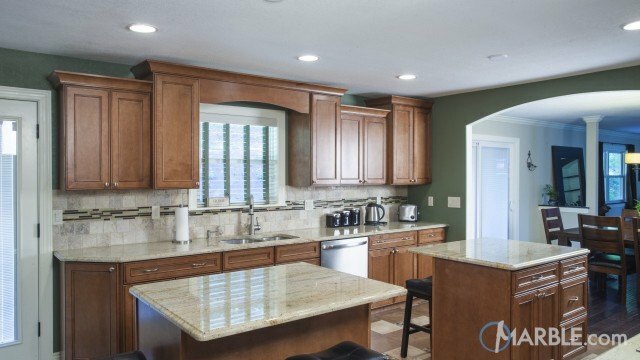 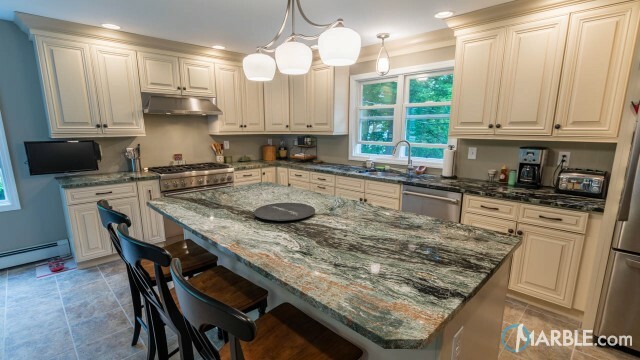 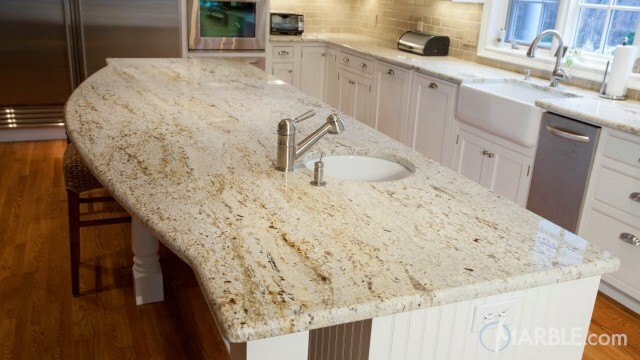 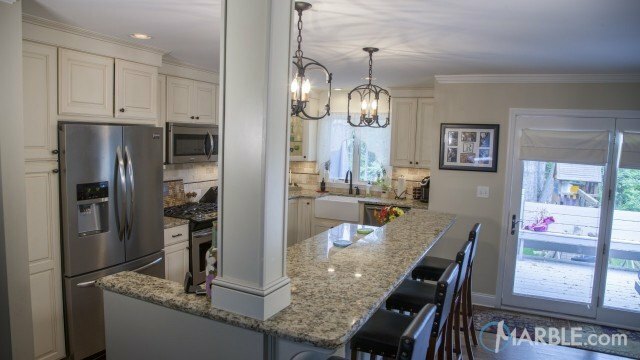 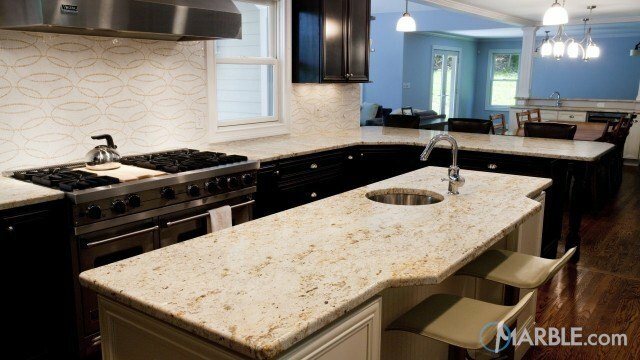 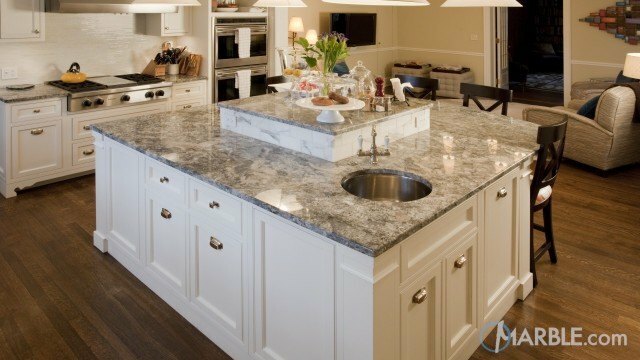 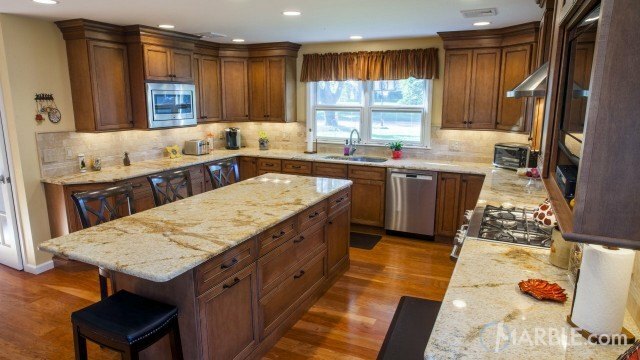 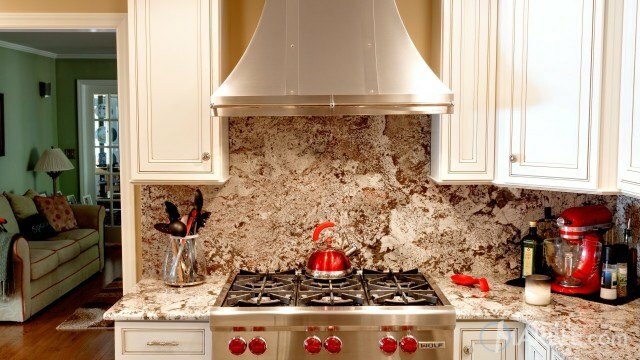 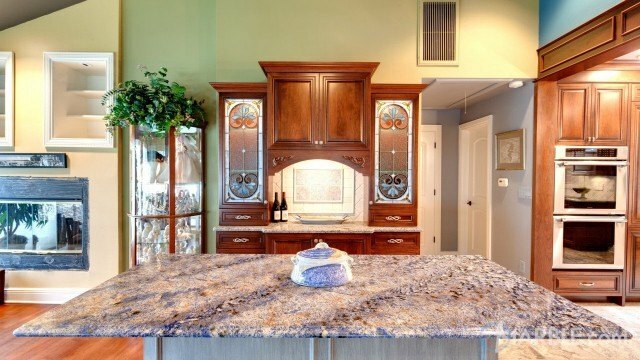 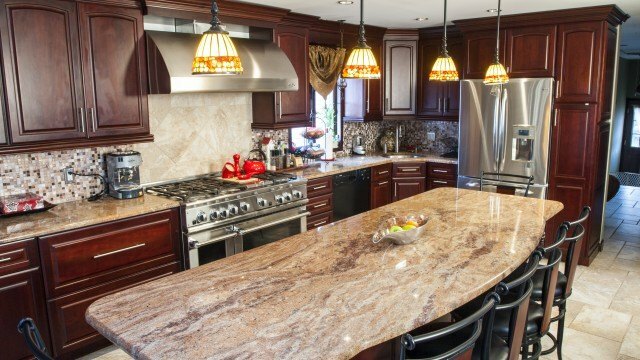 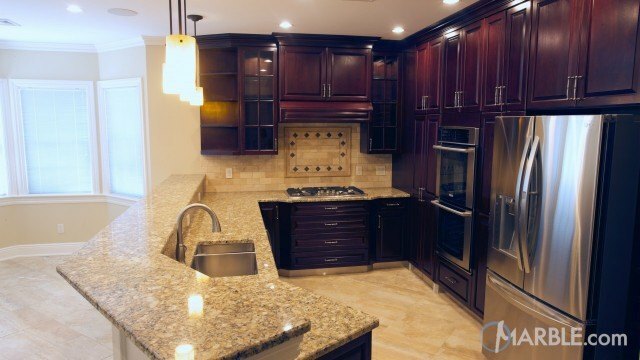 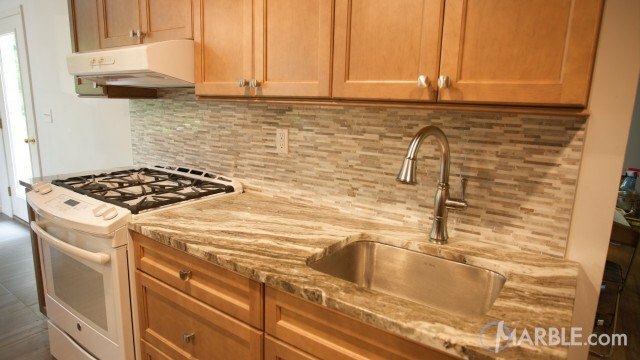 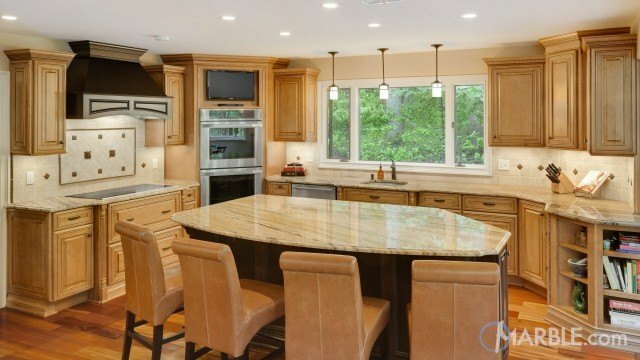 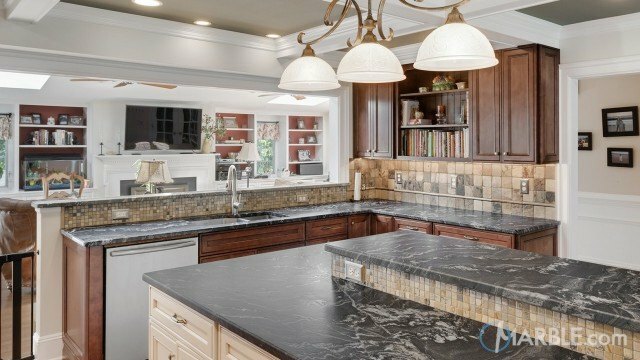 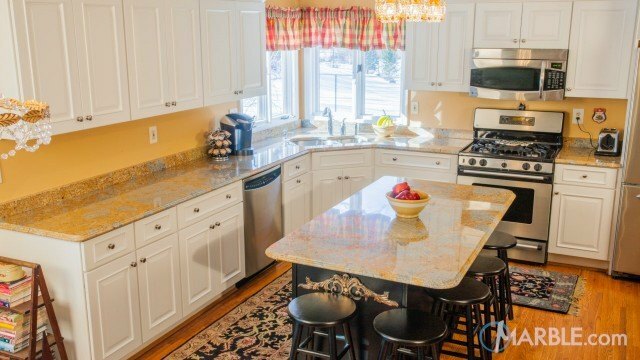 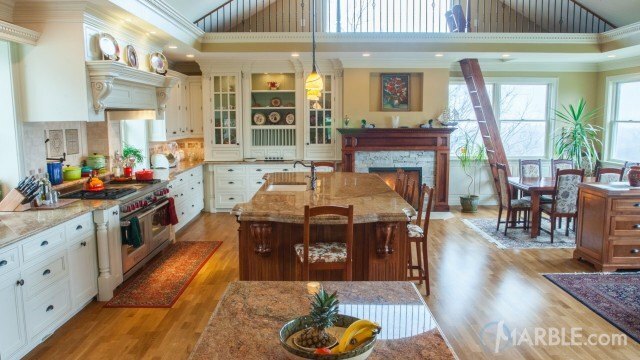 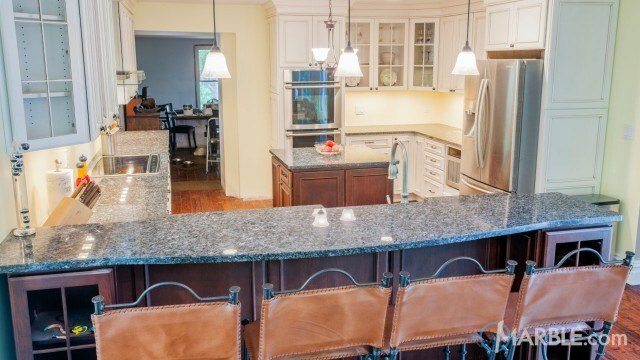 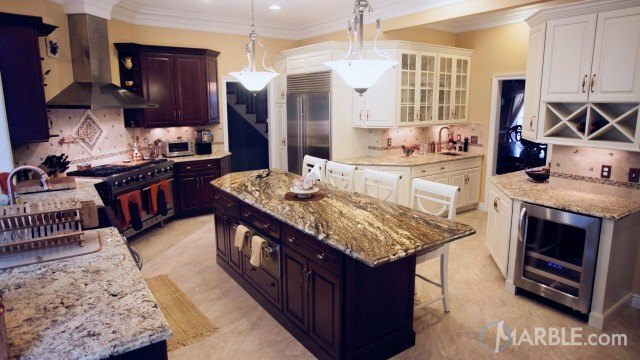 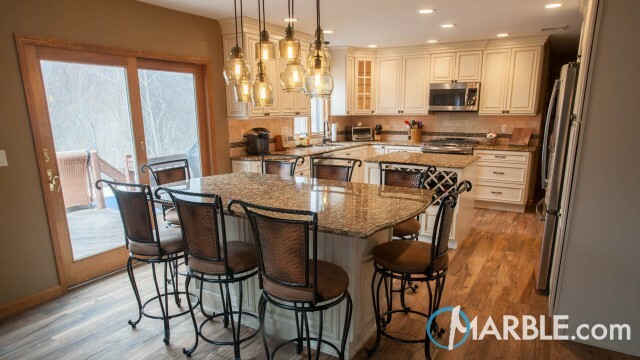 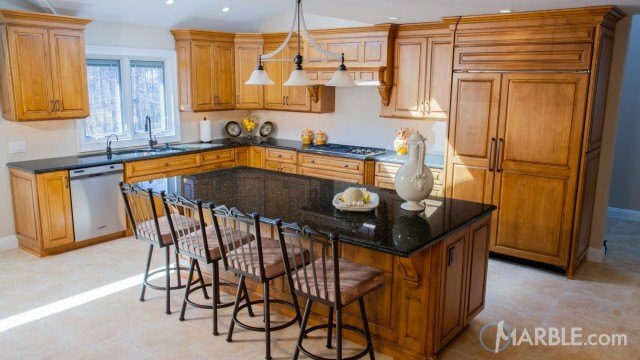 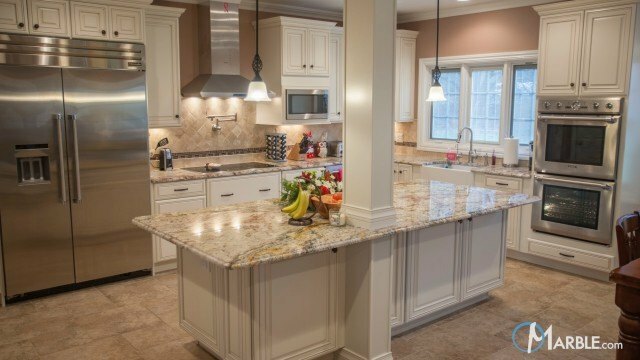 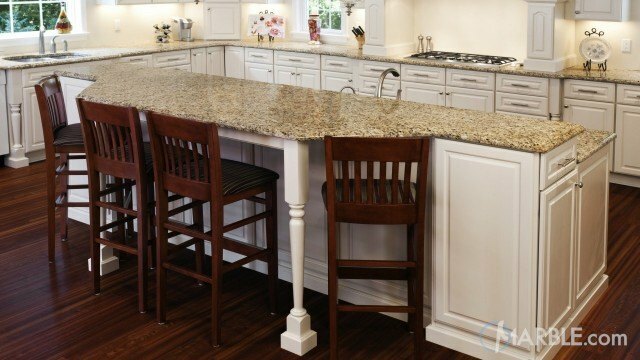 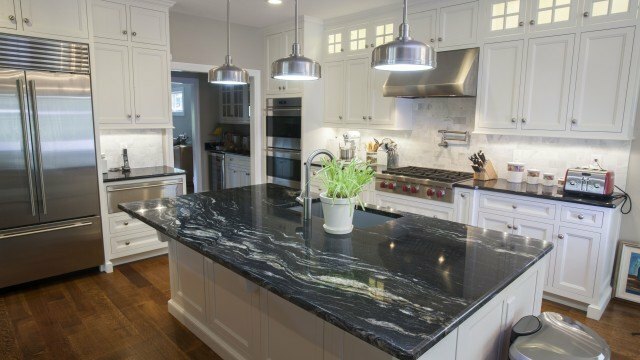 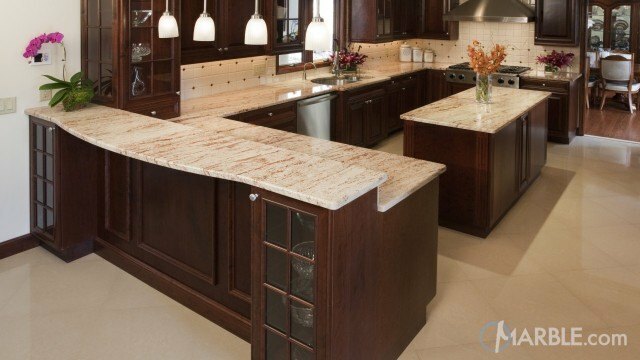 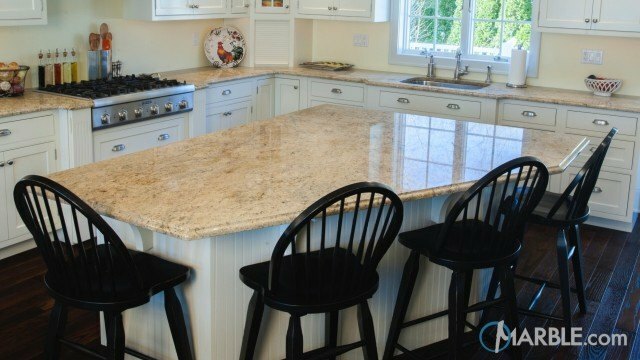 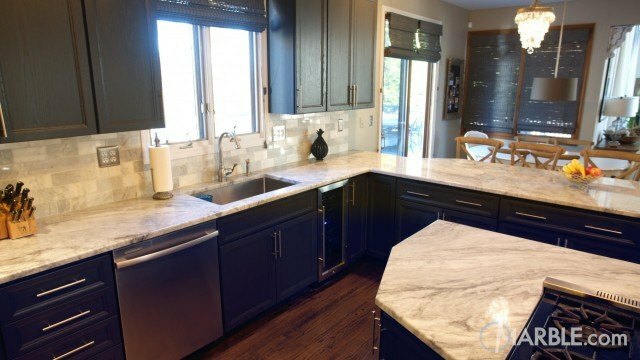 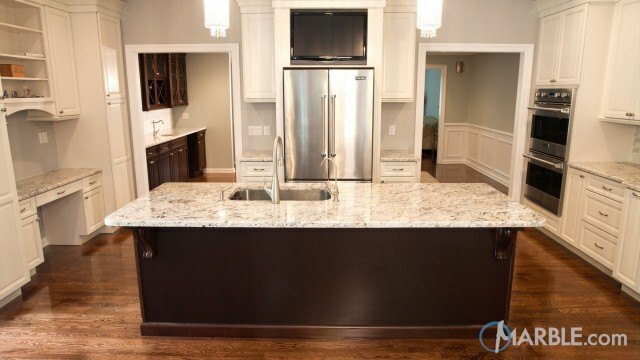 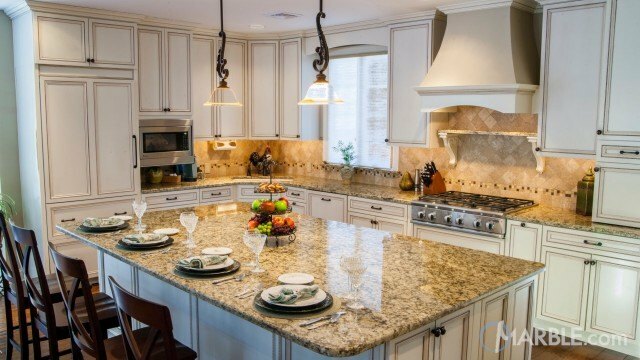 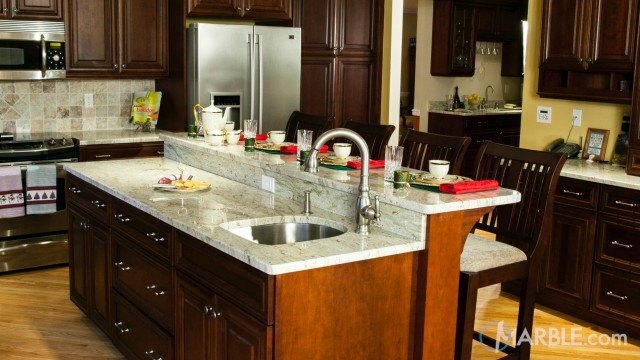 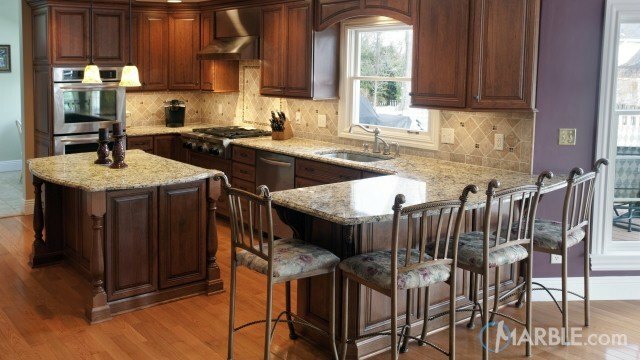 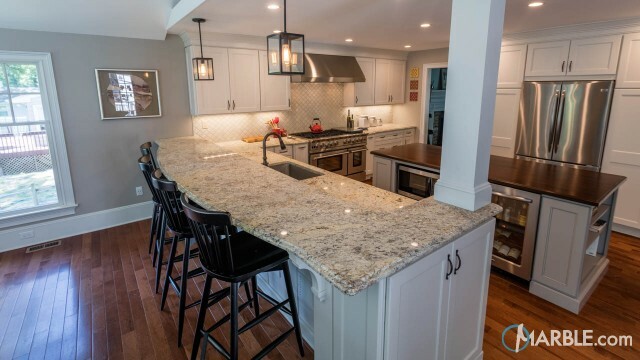 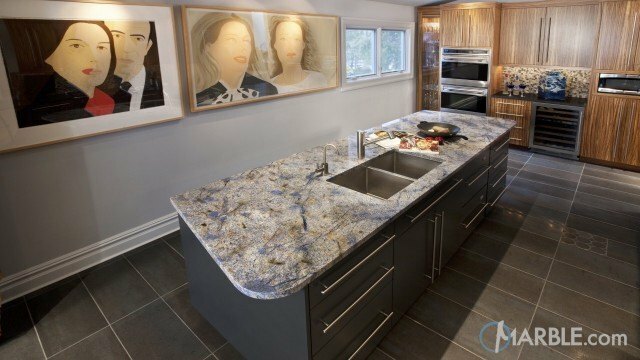 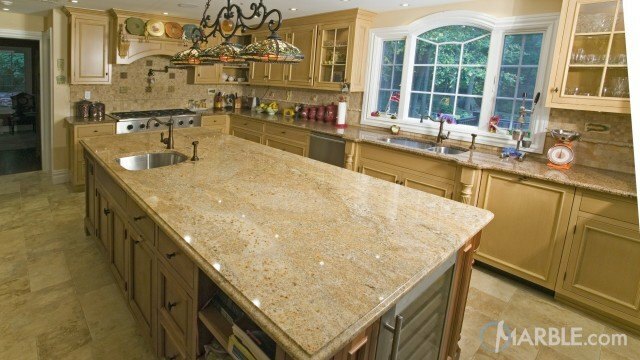 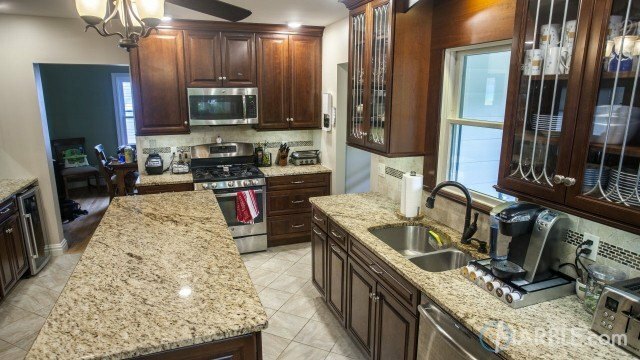 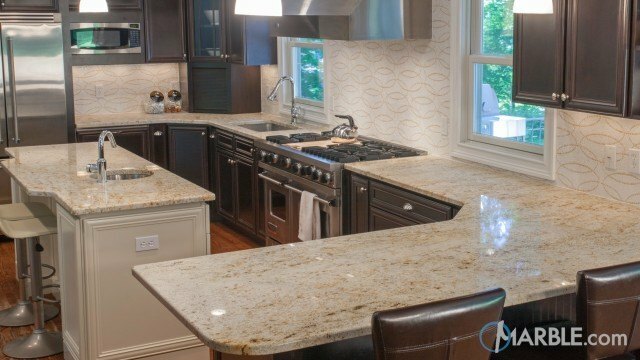 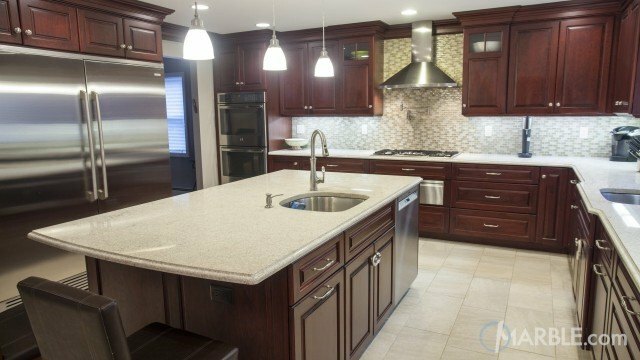 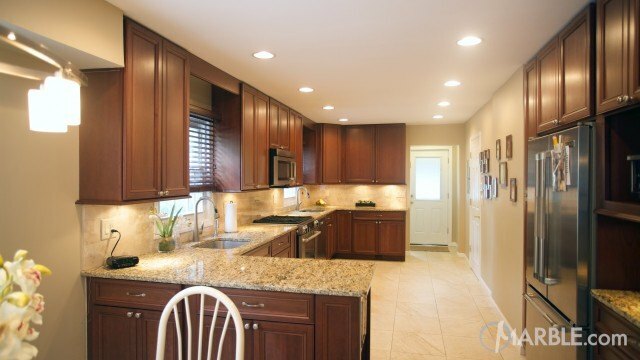 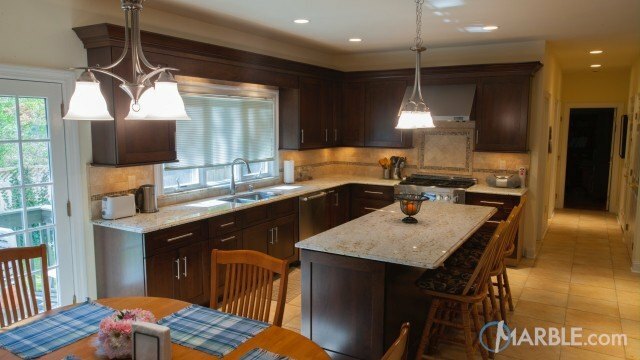 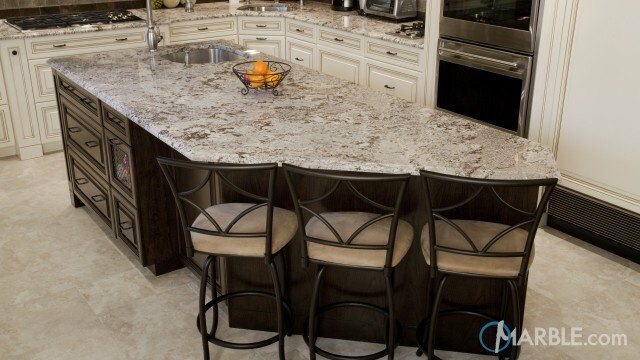 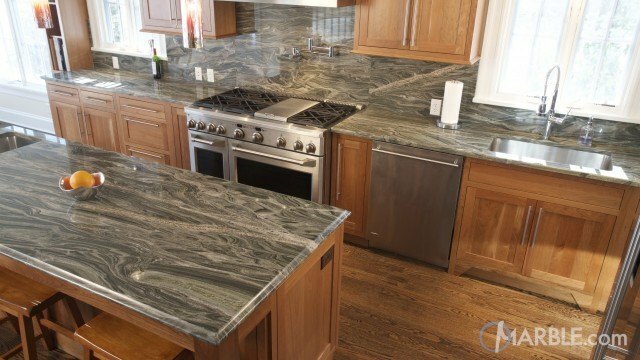 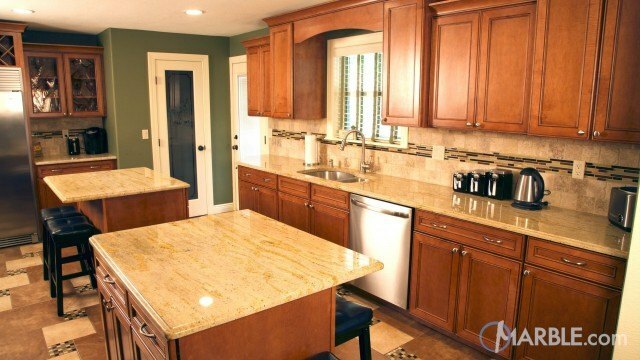 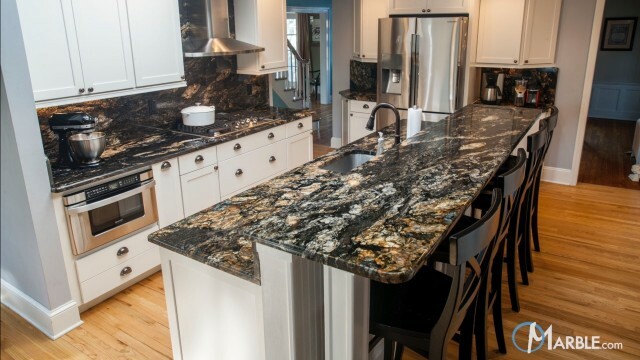 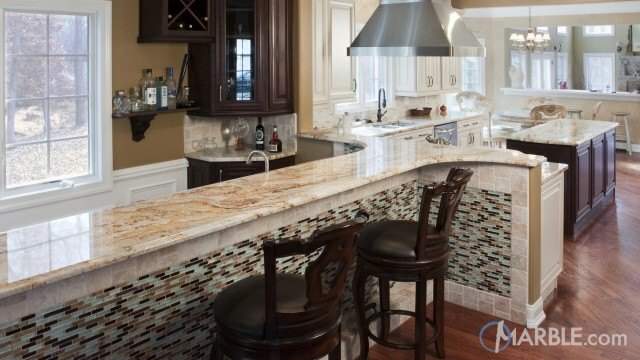 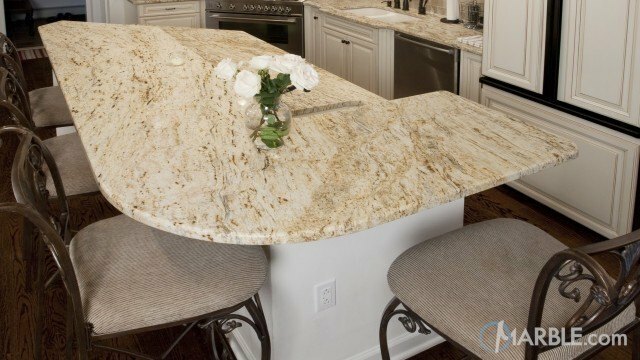 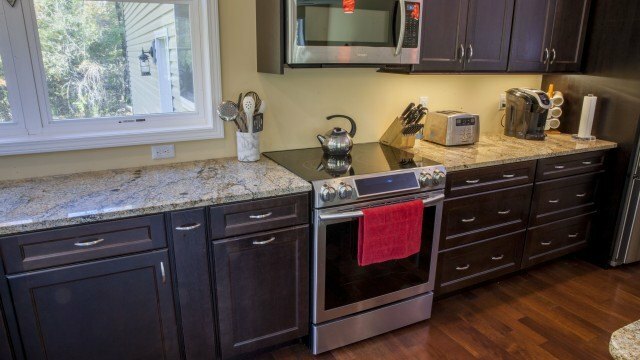 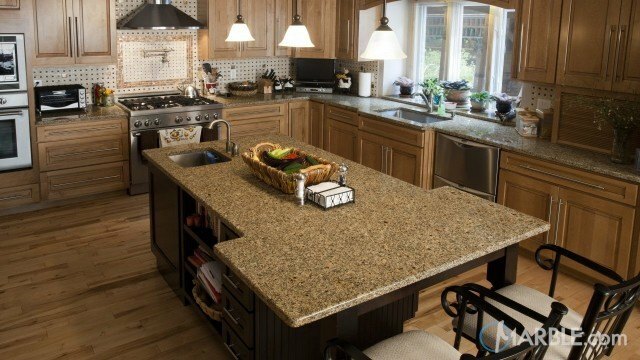 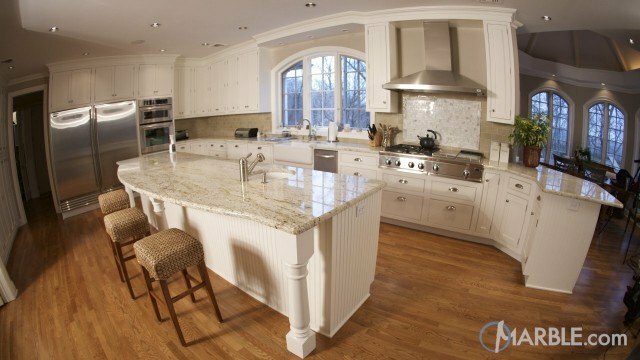 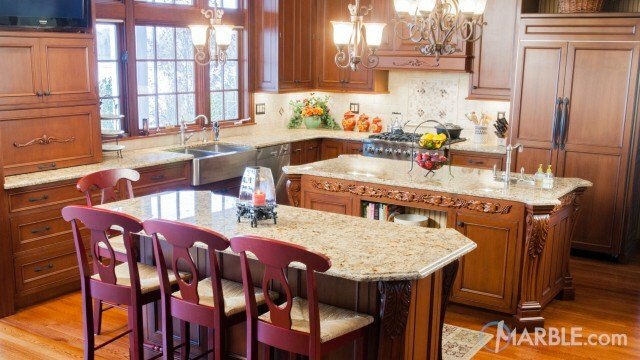 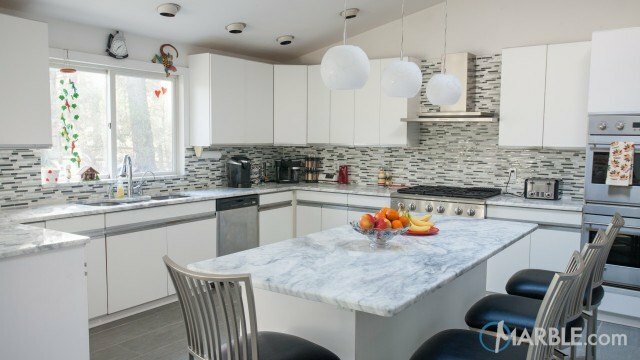 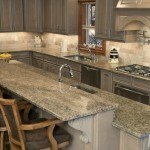 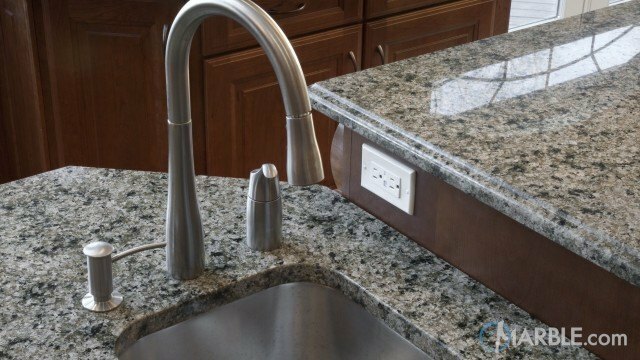 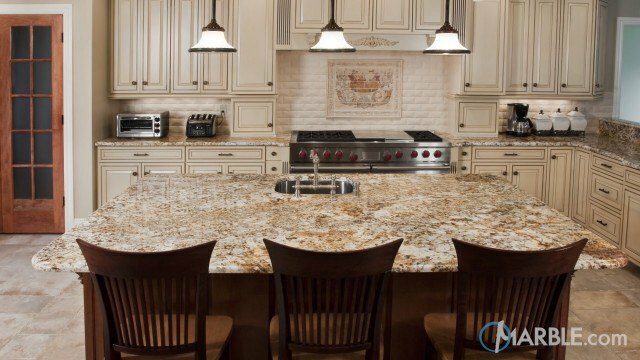 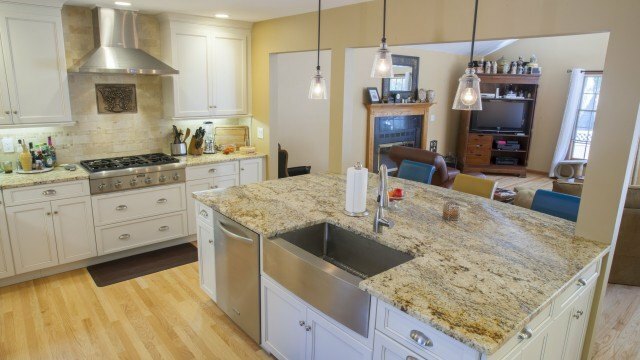 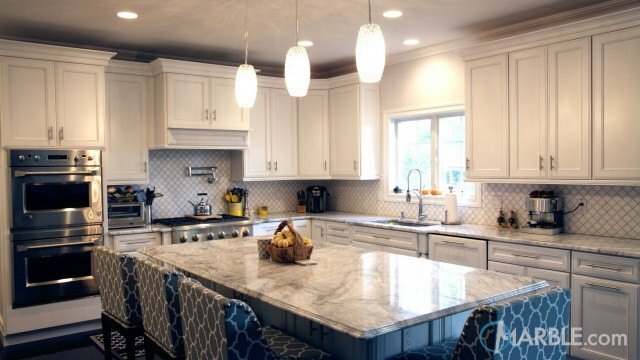 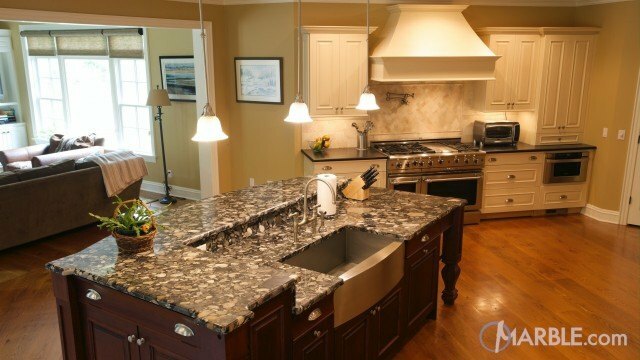 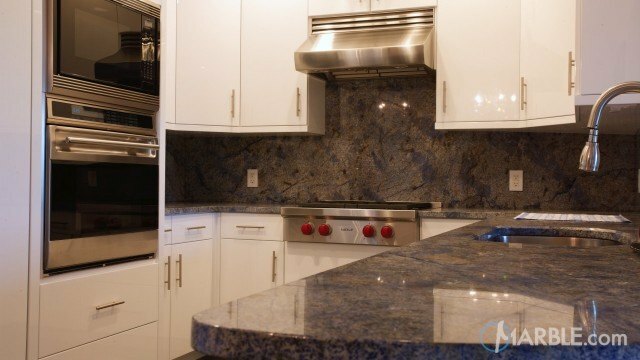 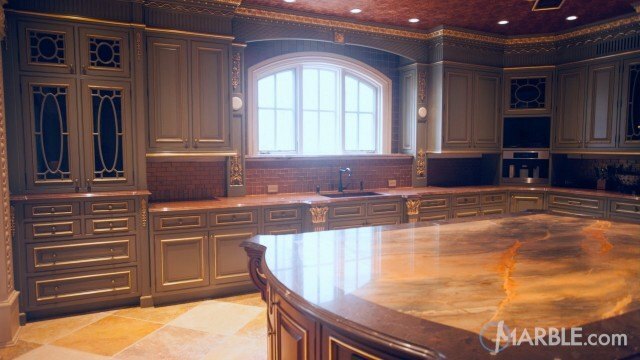 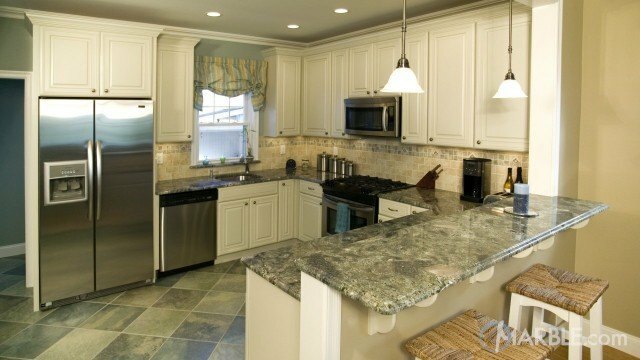 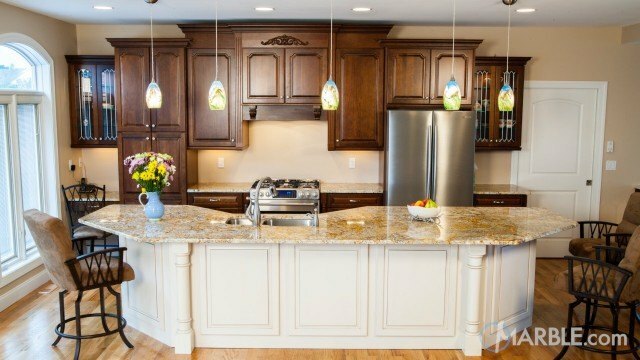 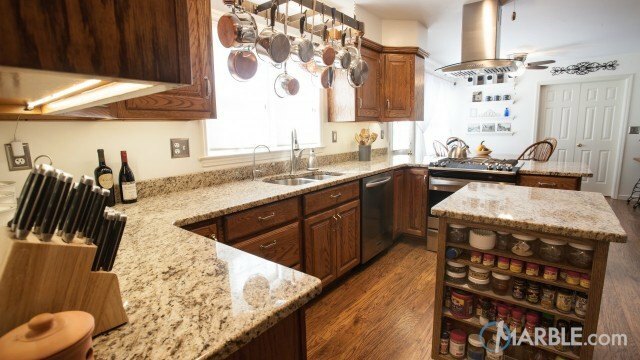 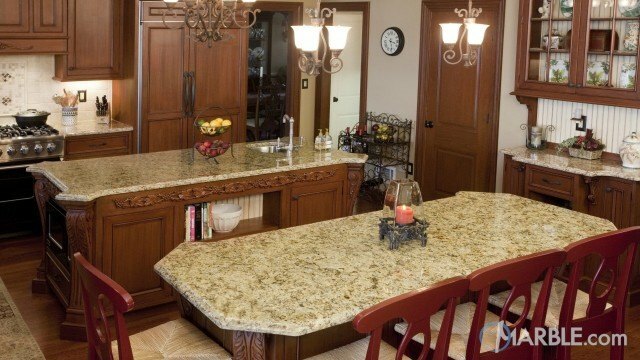 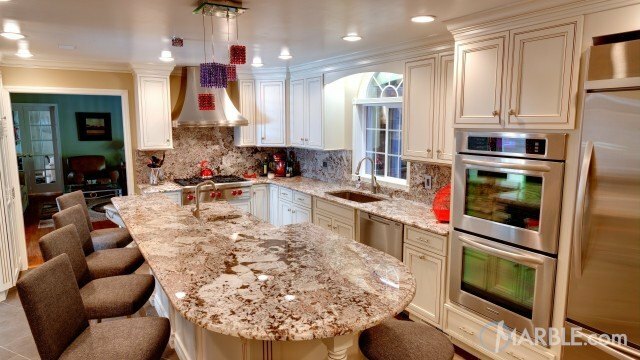 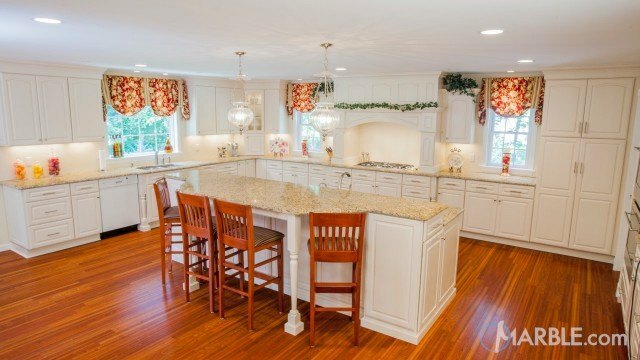 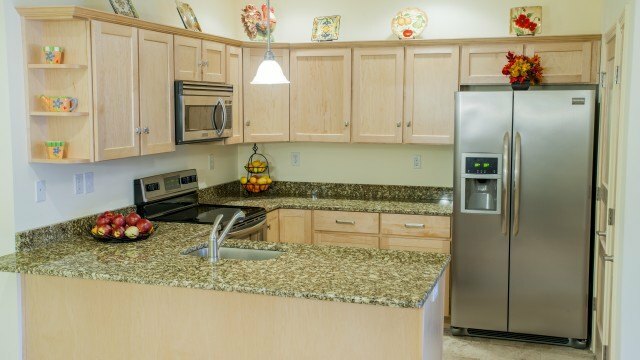 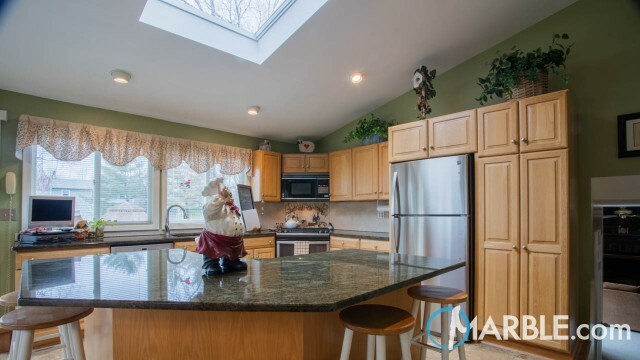 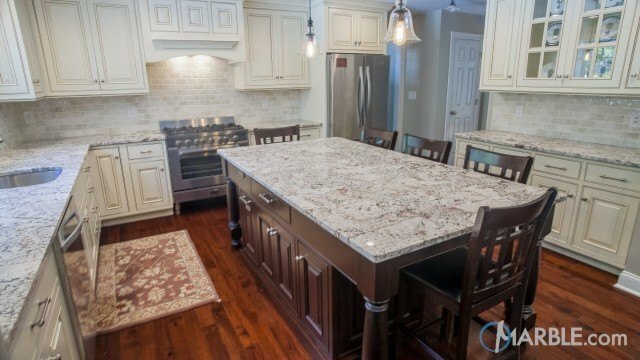 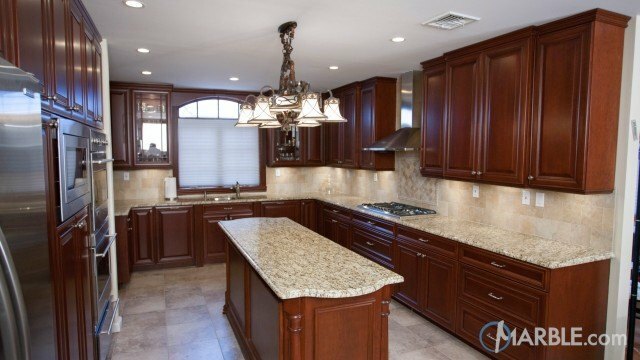 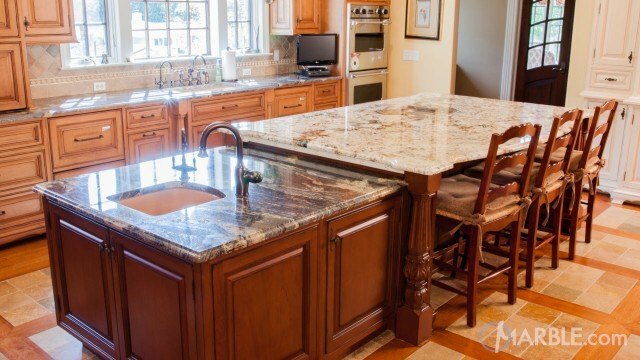 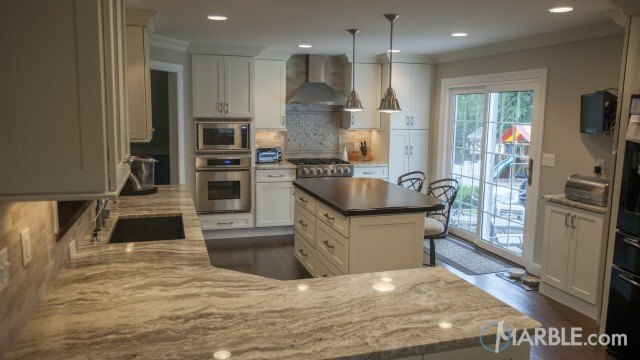 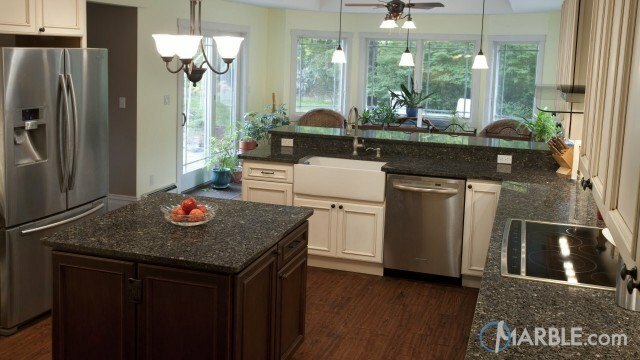 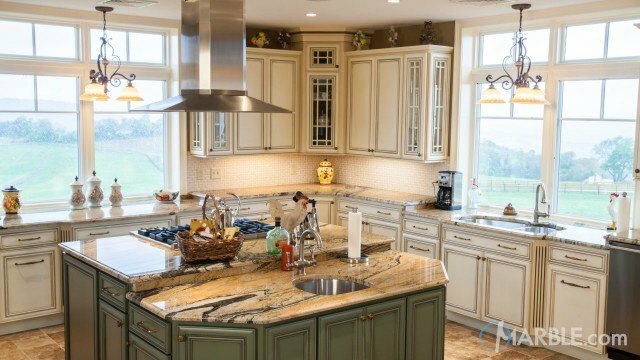 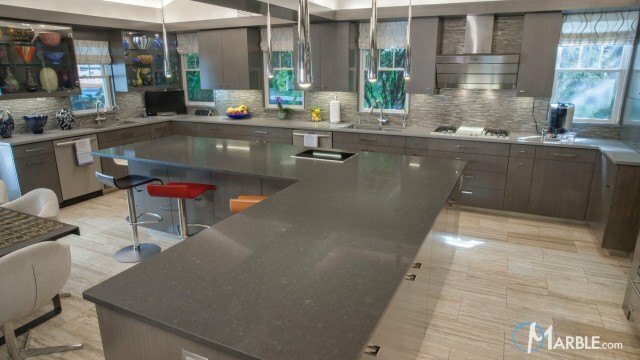 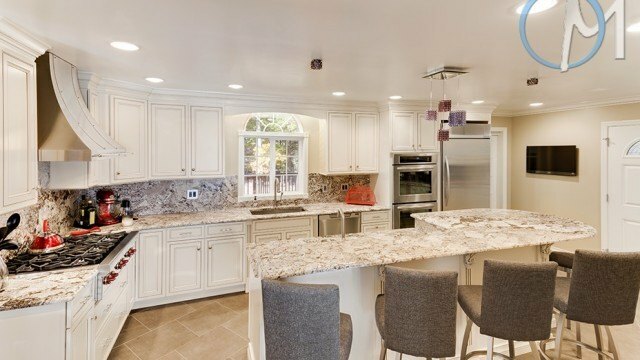 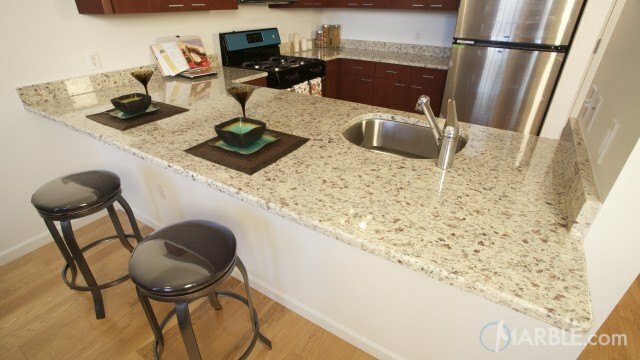 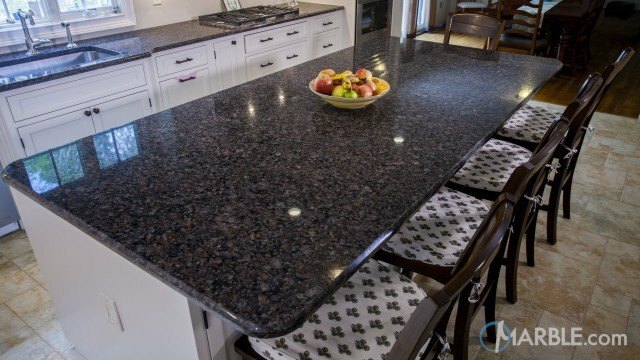 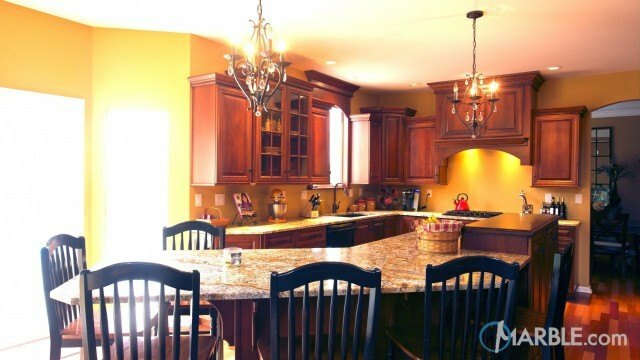 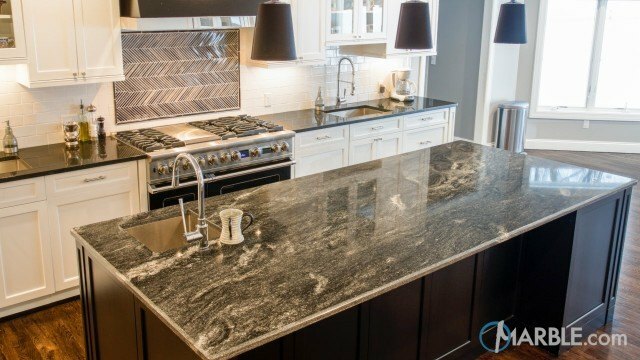 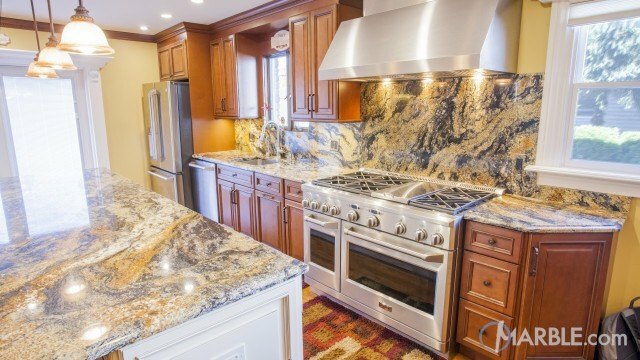 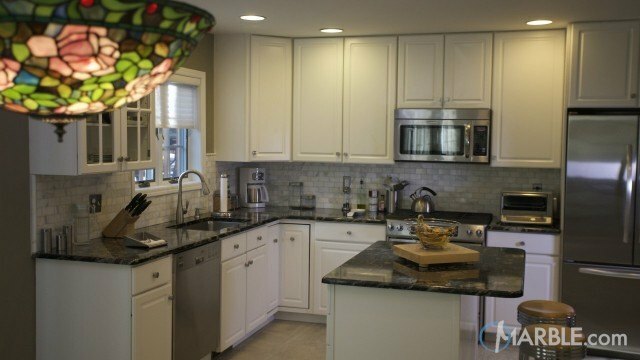 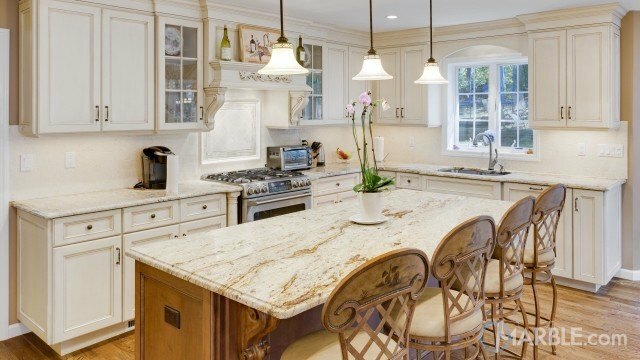 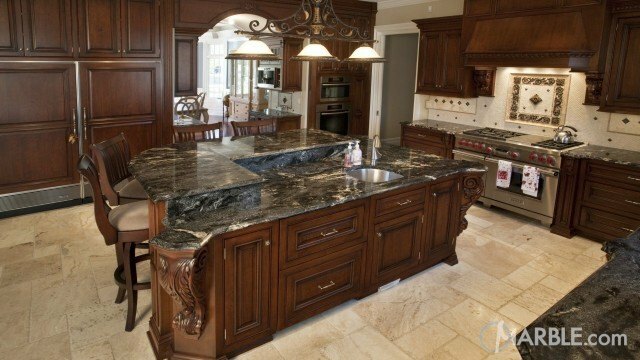 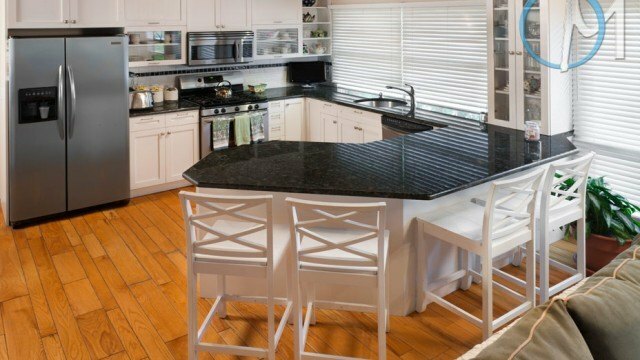 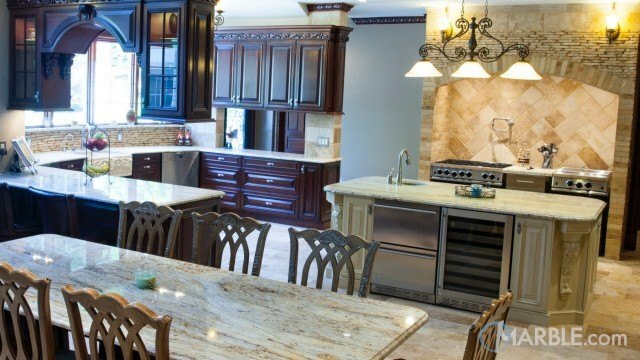 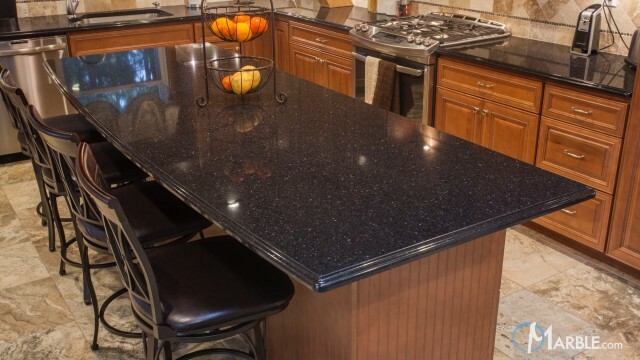 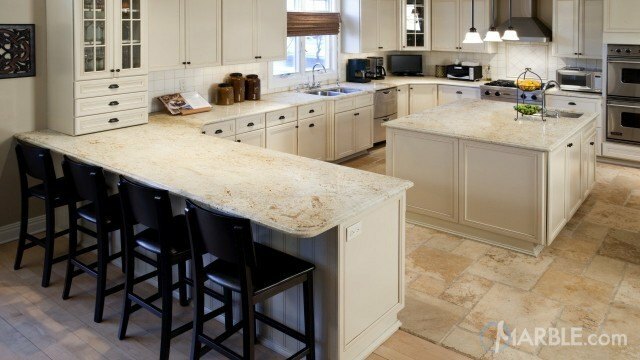 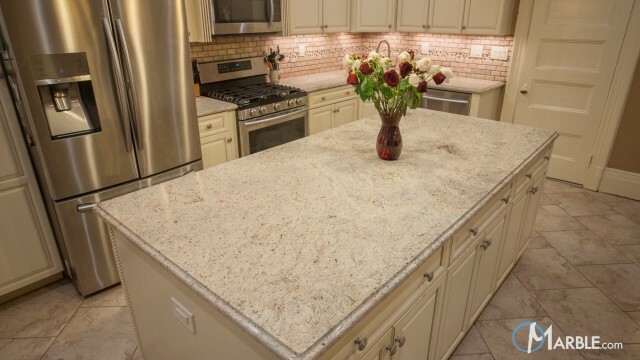 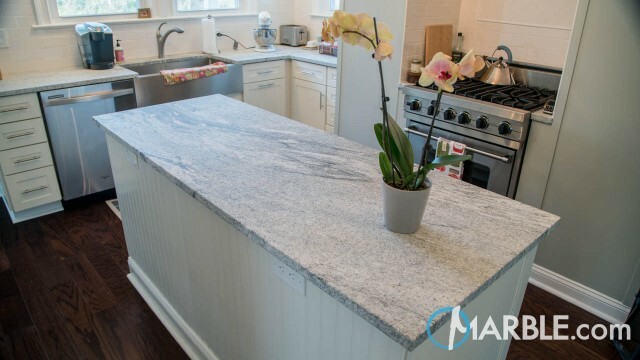 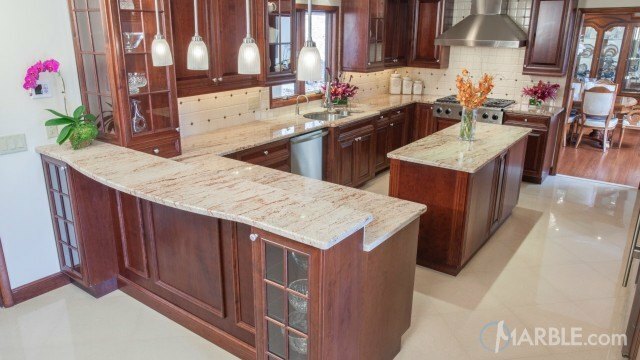 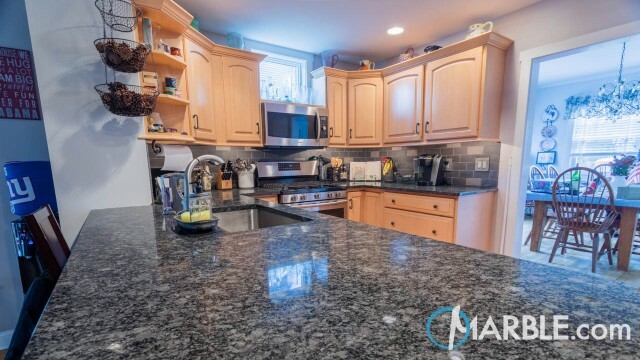 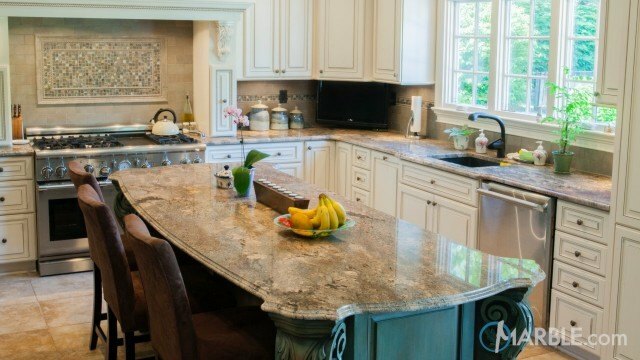 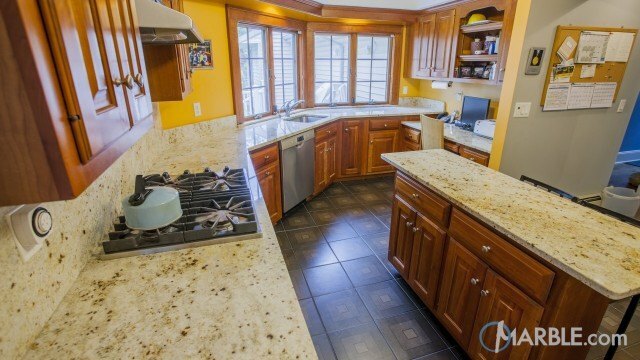 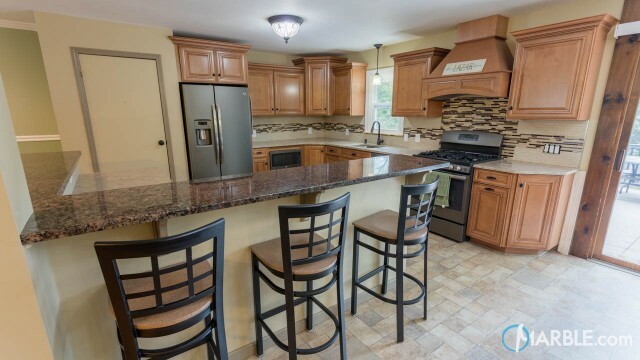 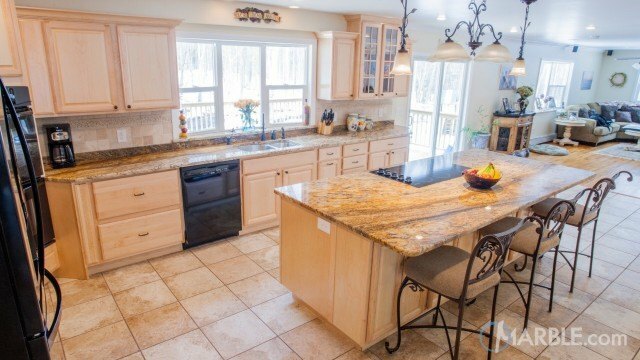 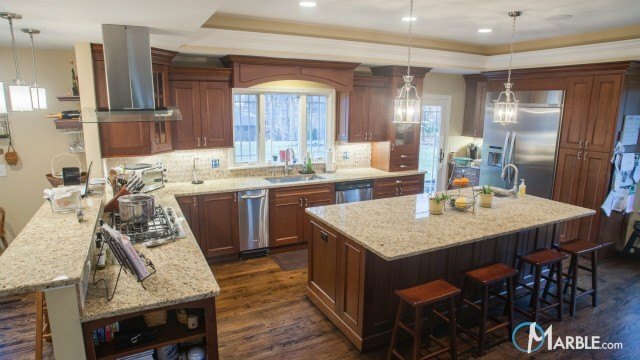 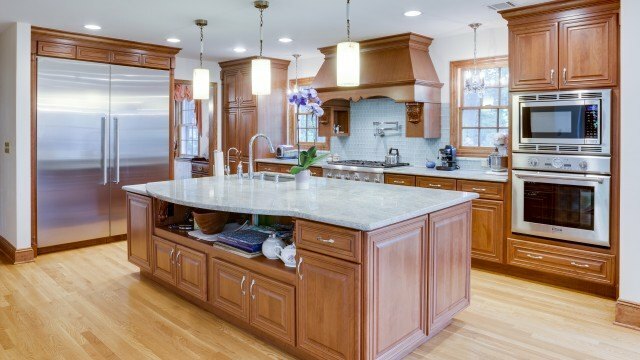 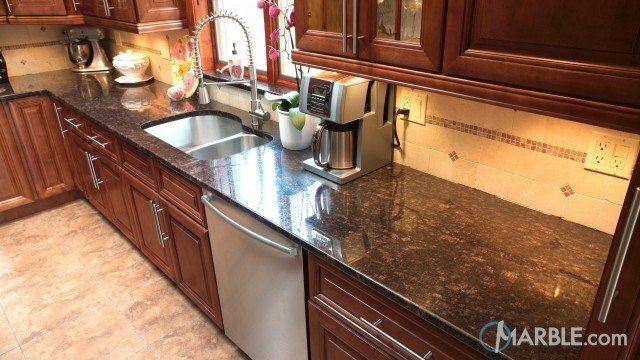 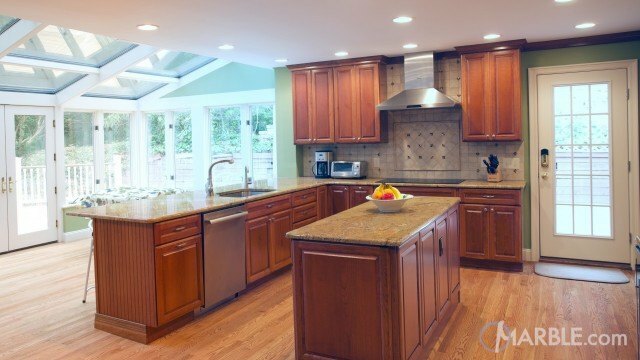 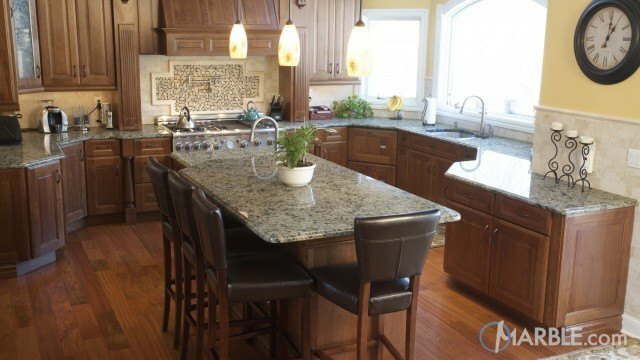 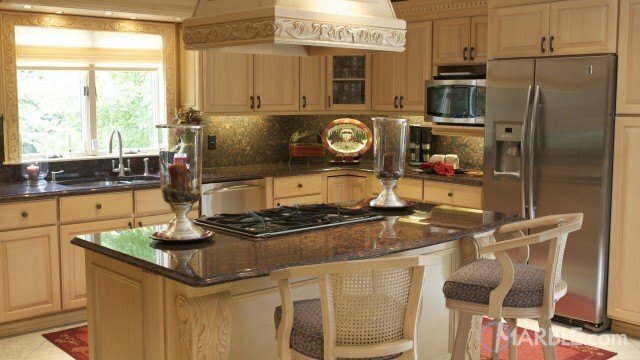 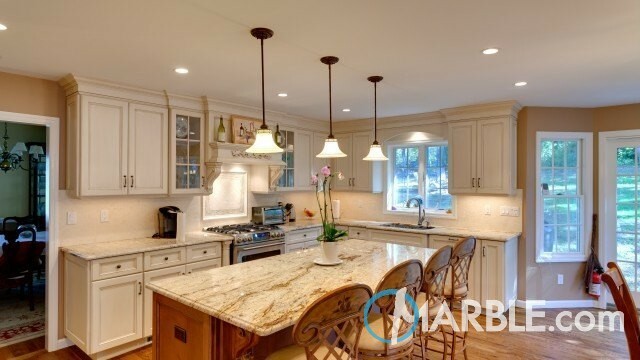 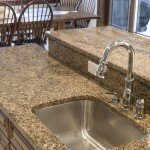 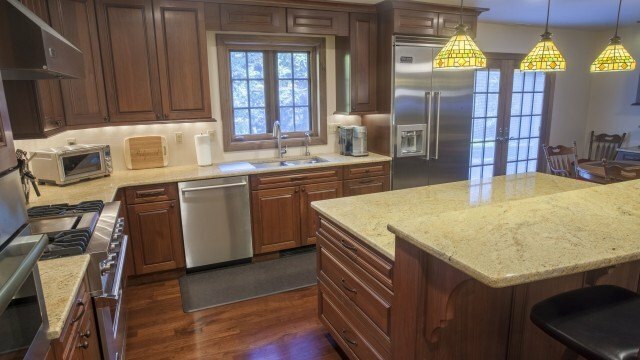 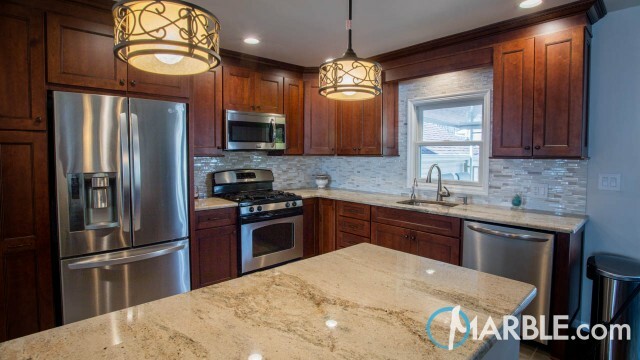 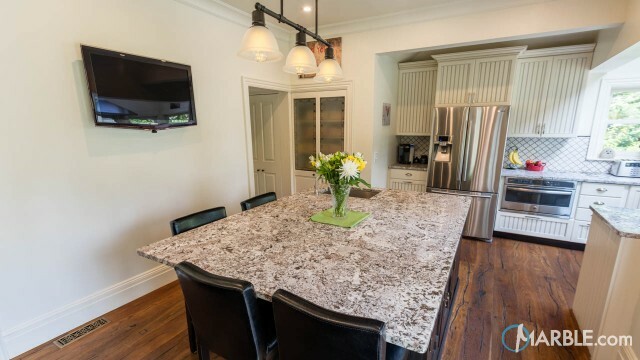 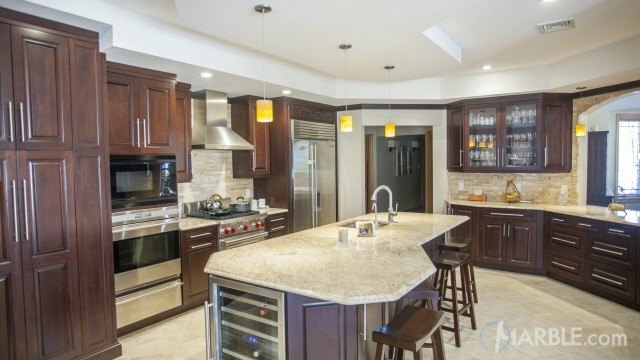 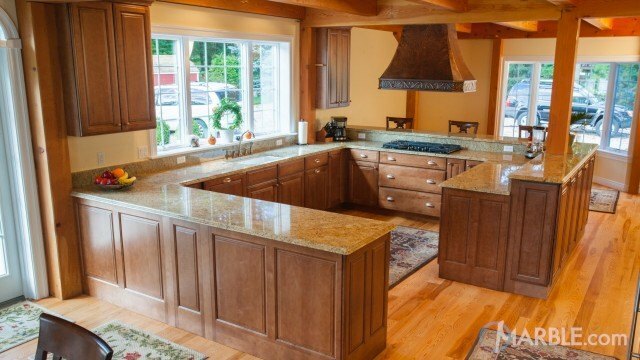 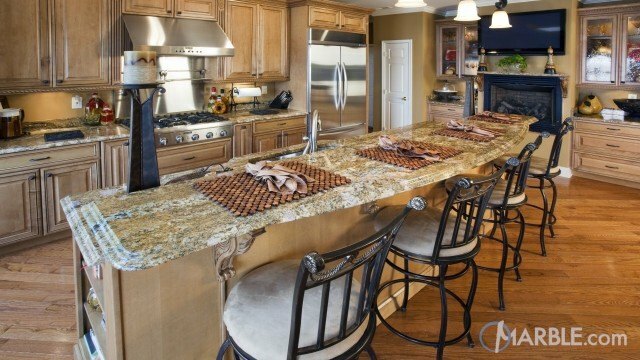 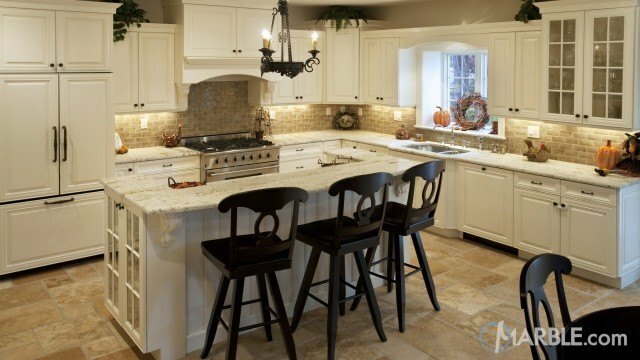 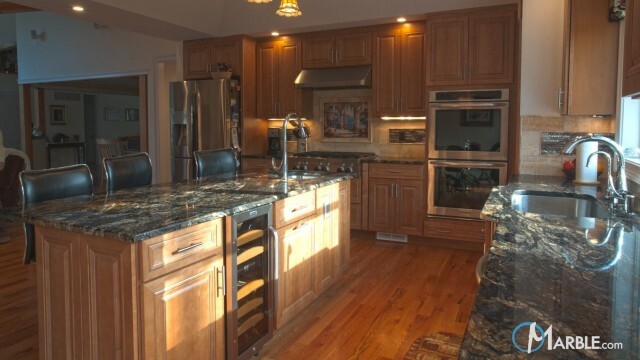 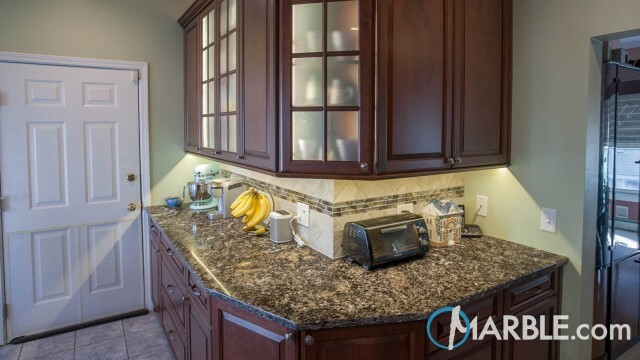 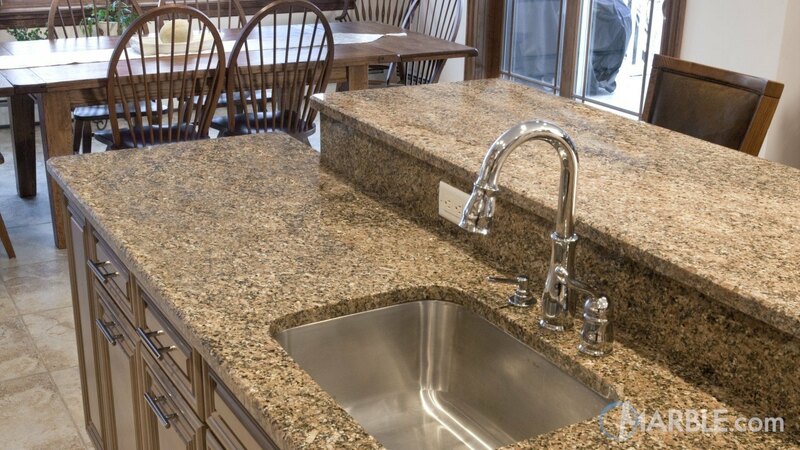 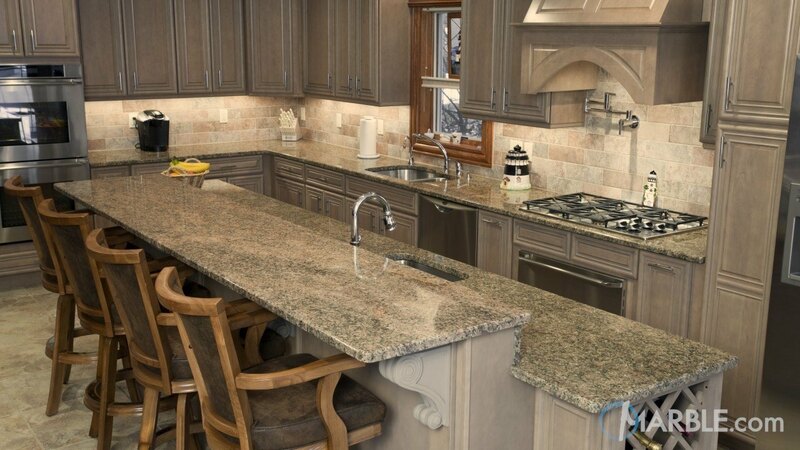 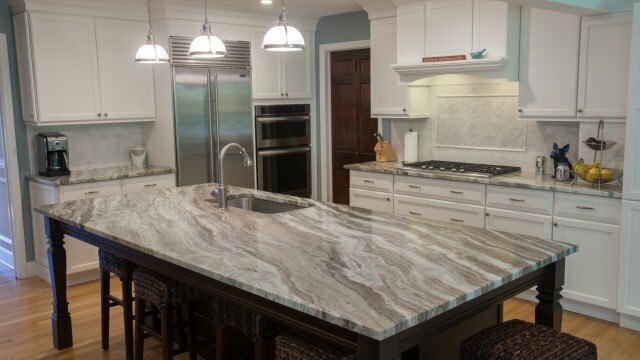 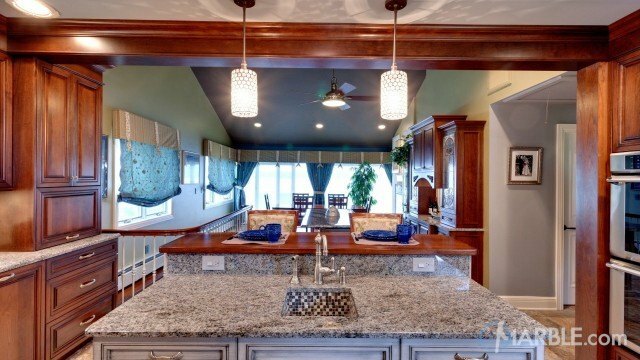 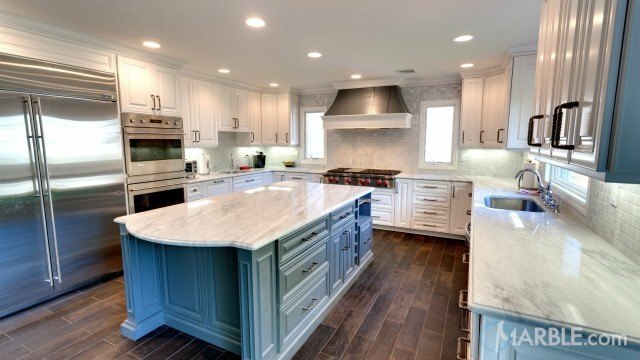 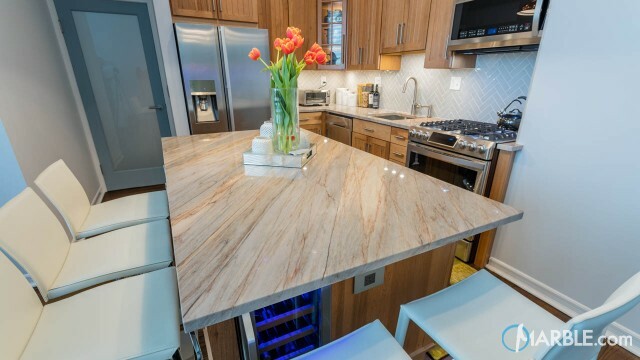 Key West Gold granite finished with a Straight Edge melds with a neutral-colored tile back splash and cabinets. 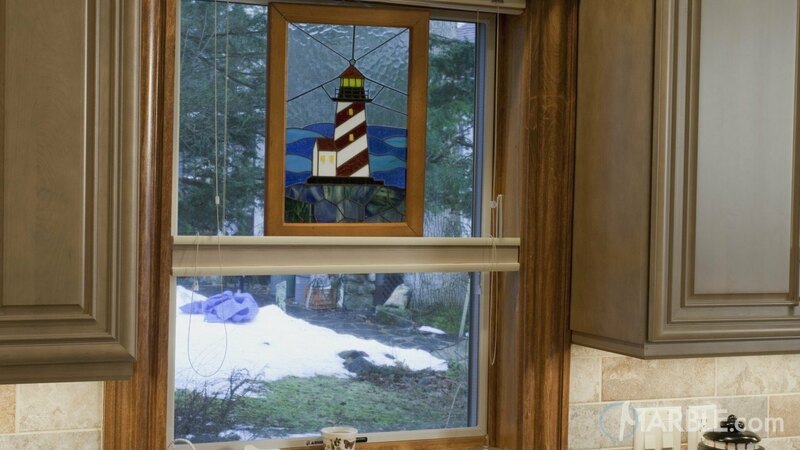 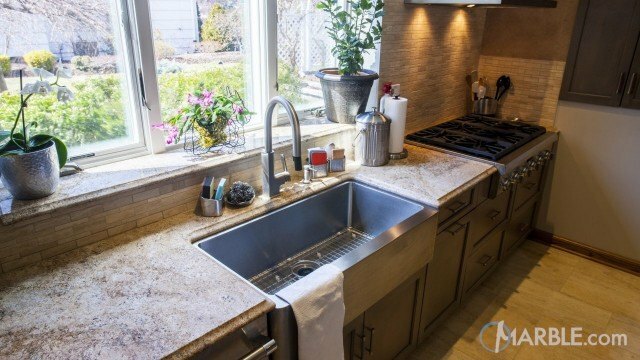 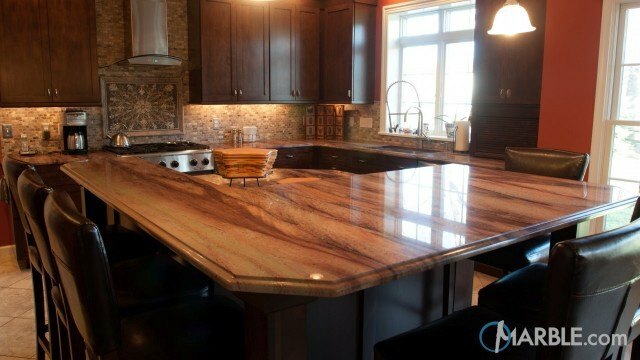 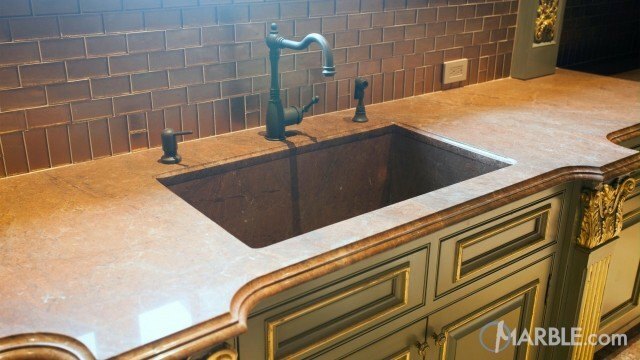 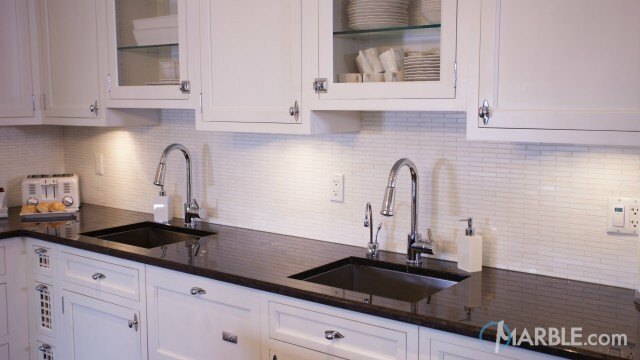 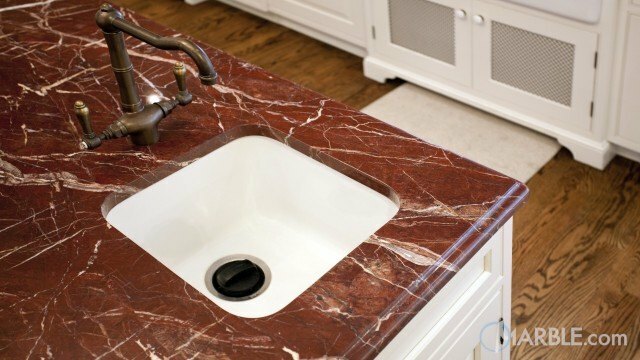 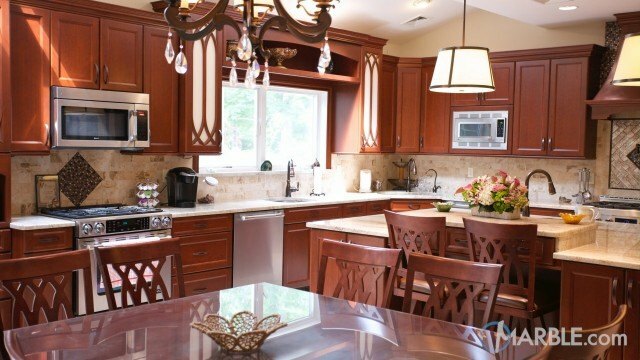 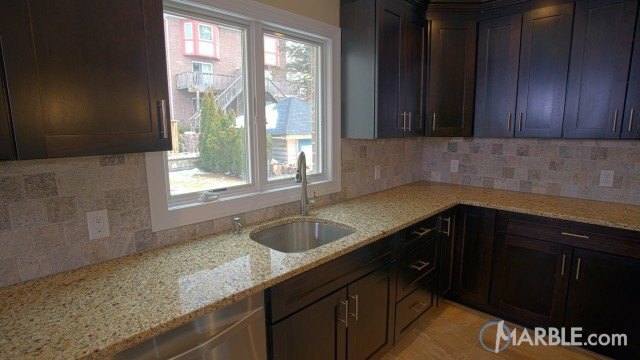 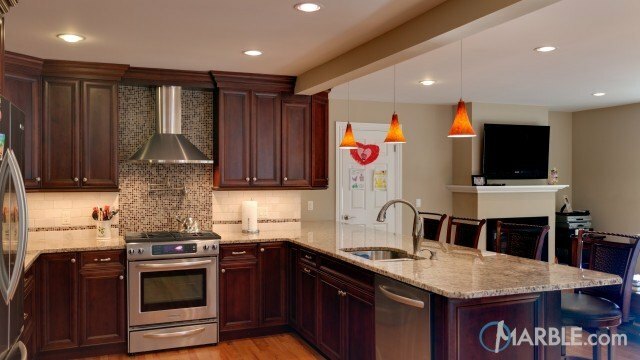 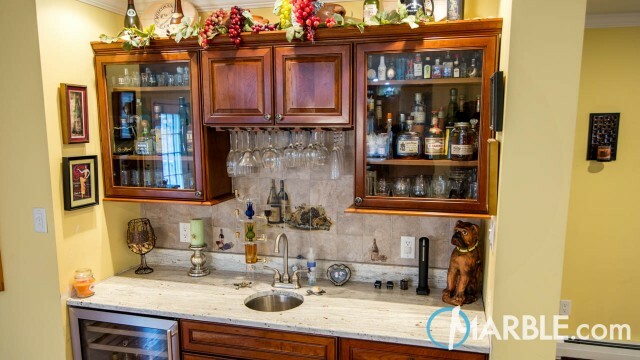 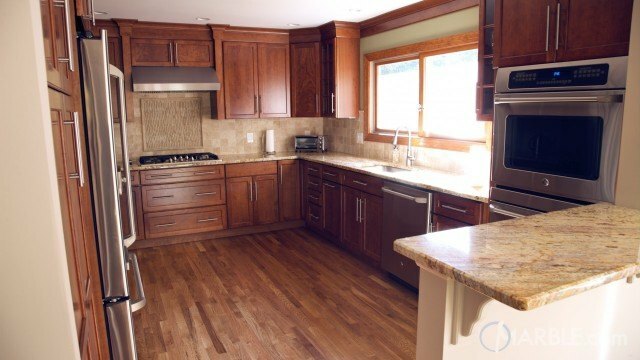 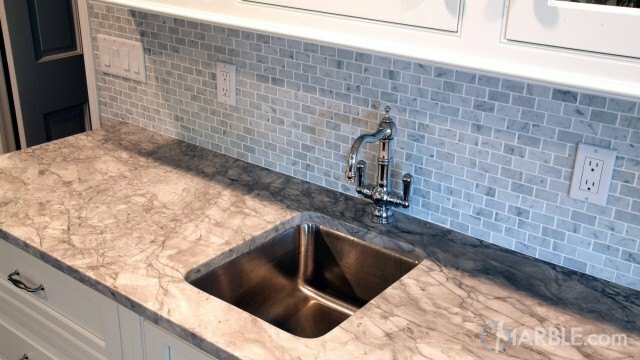 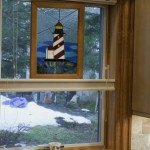 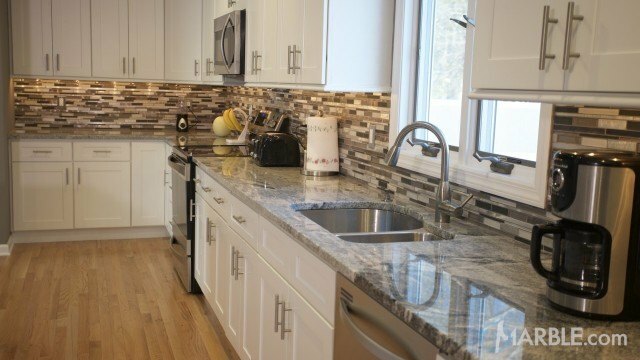 Medium brown trim around the sink's window adds a pop of color without straying from the theme. 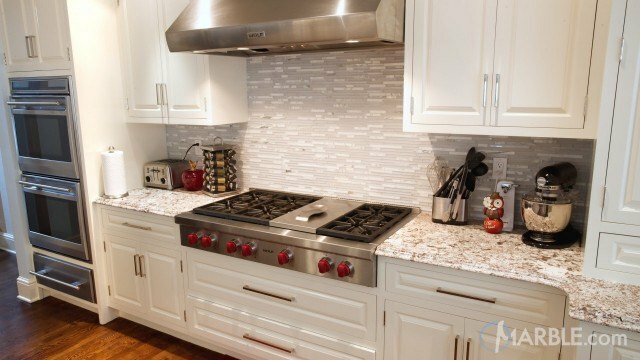 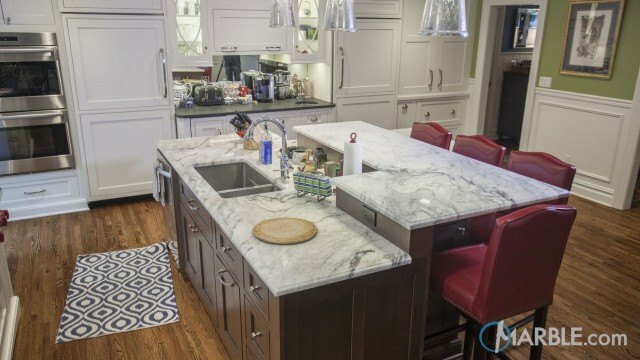 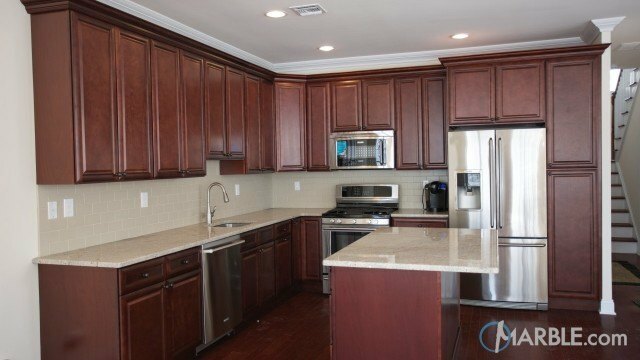 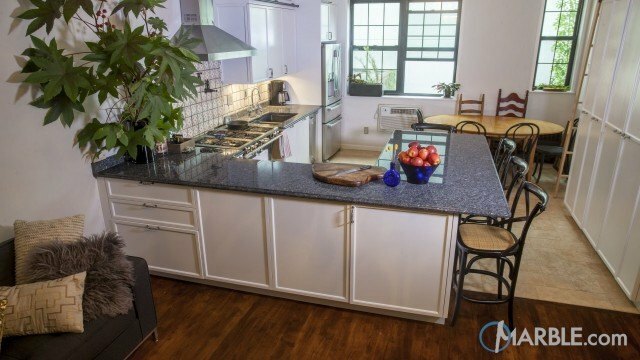 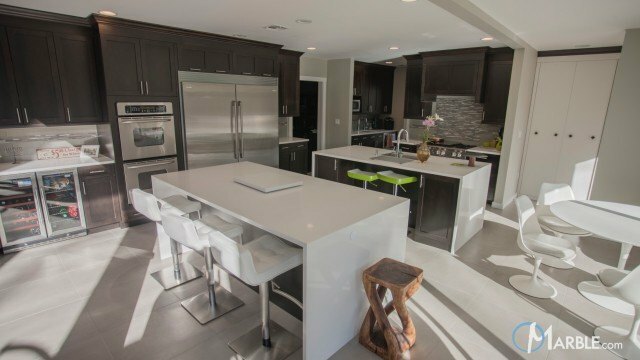 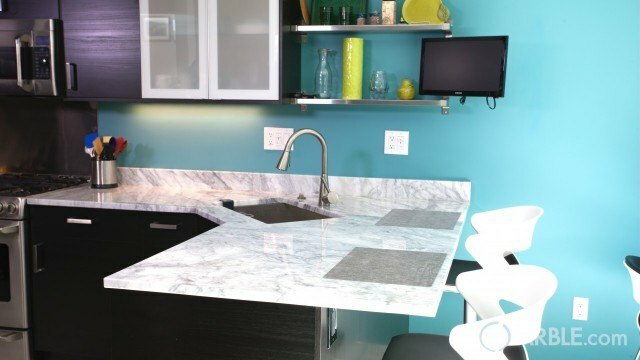 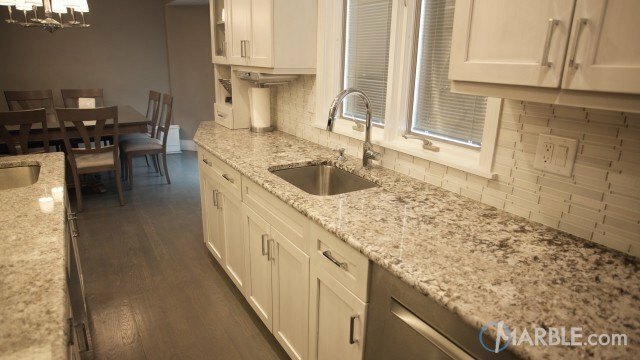 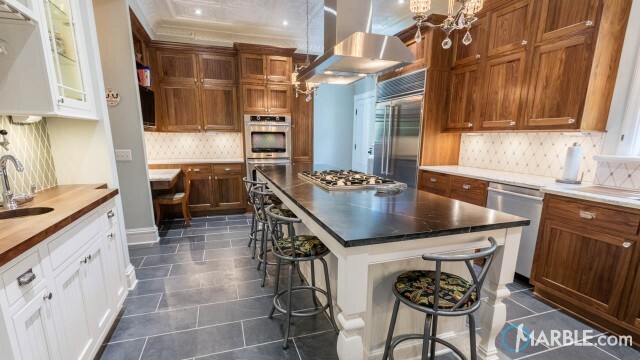 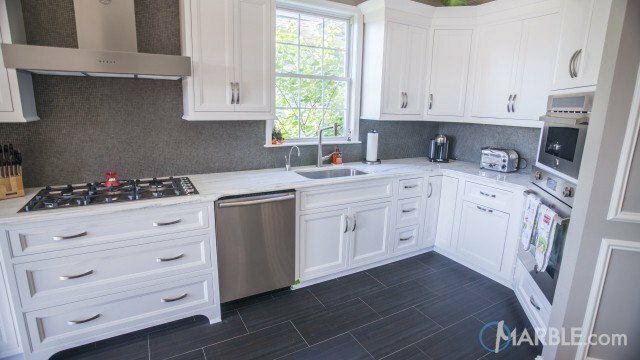 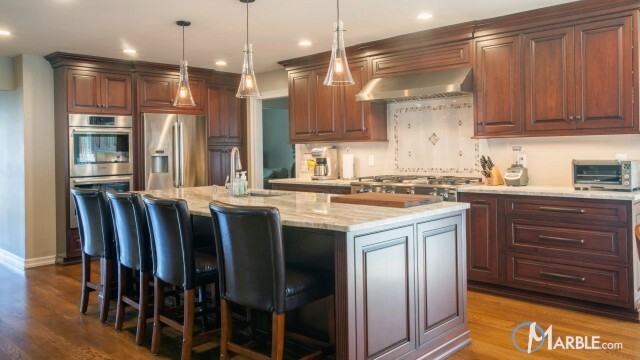 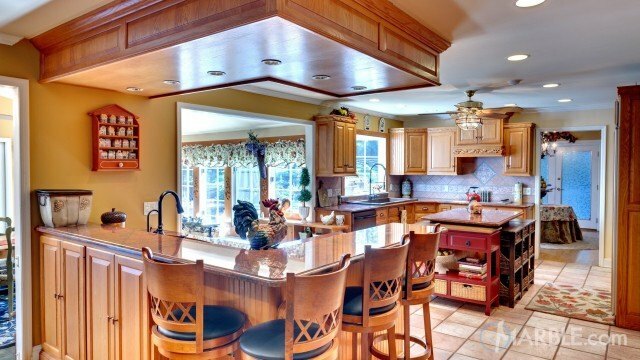 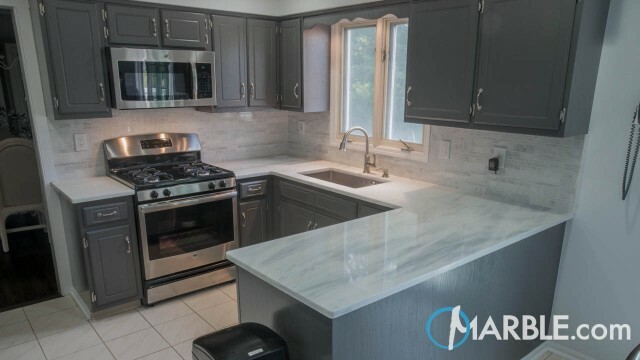 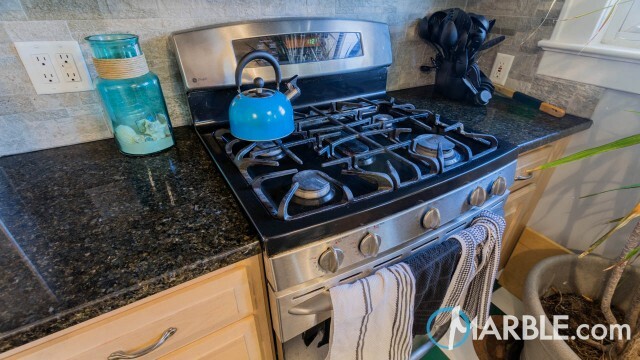 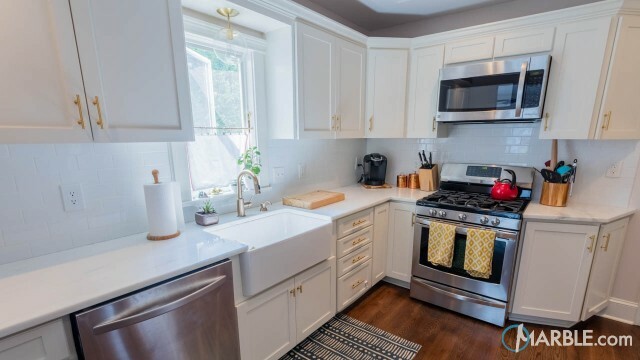 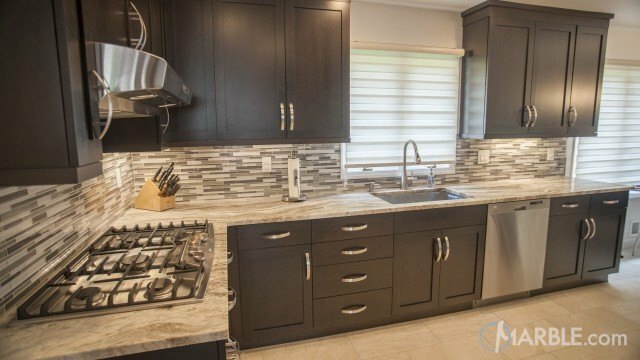 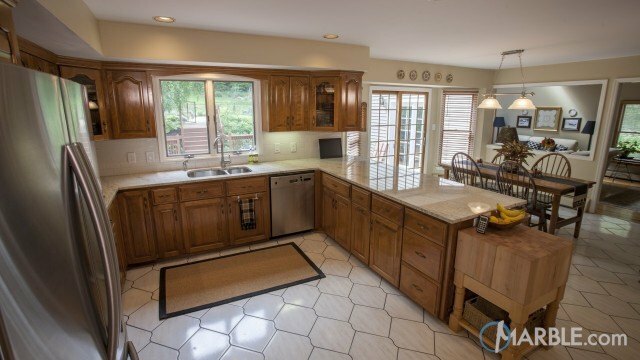 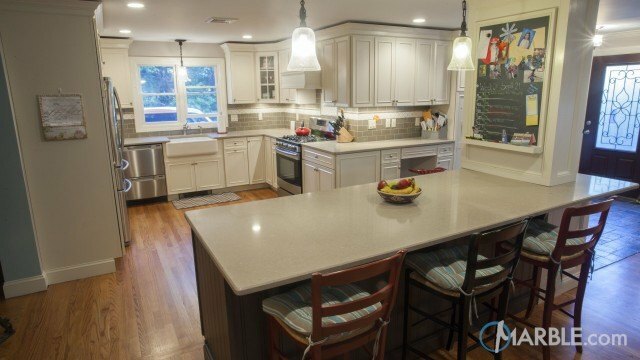 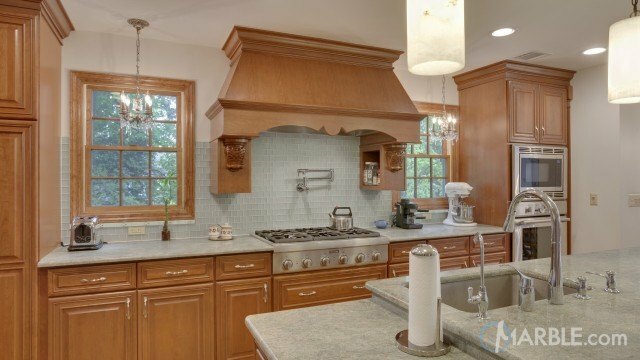 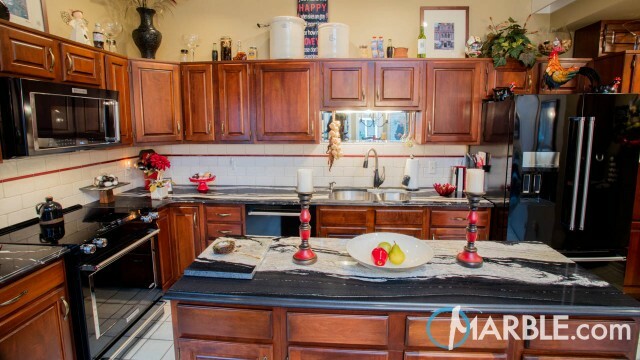 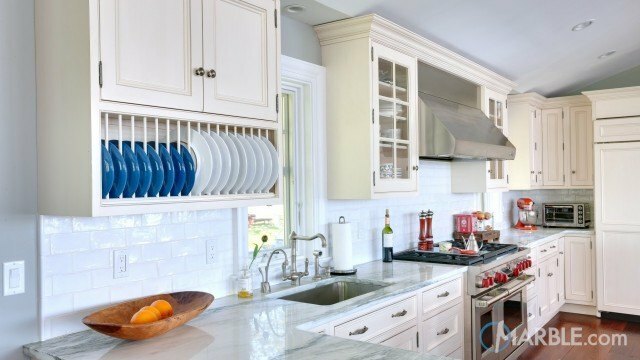 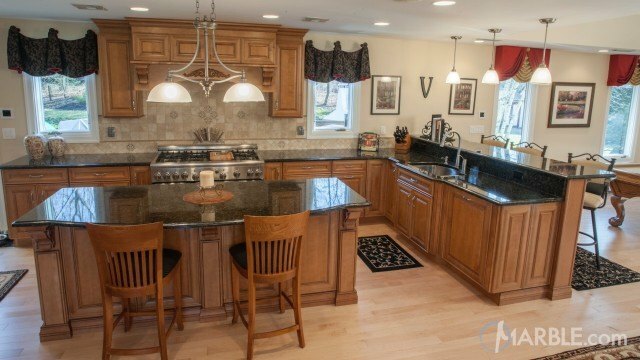 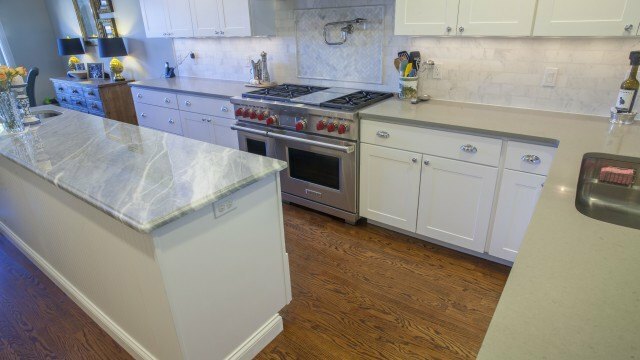 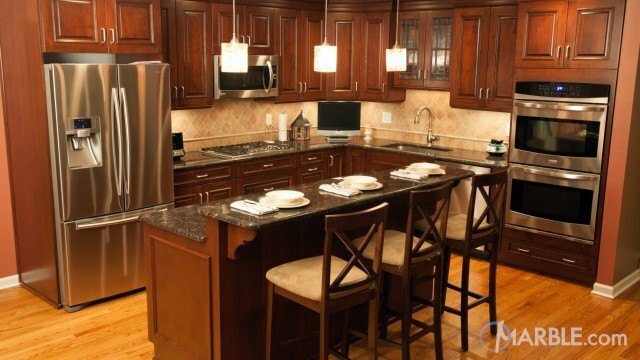 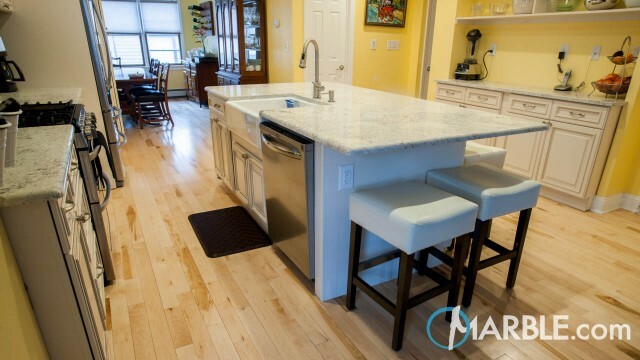 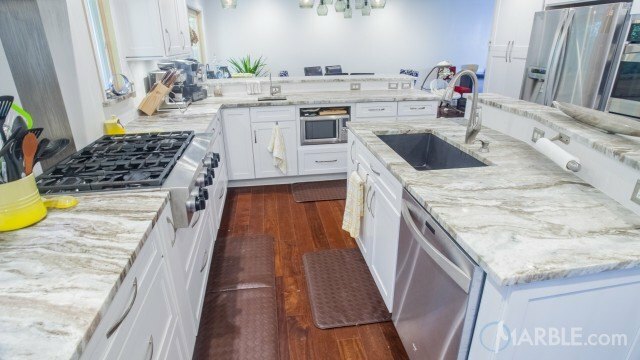 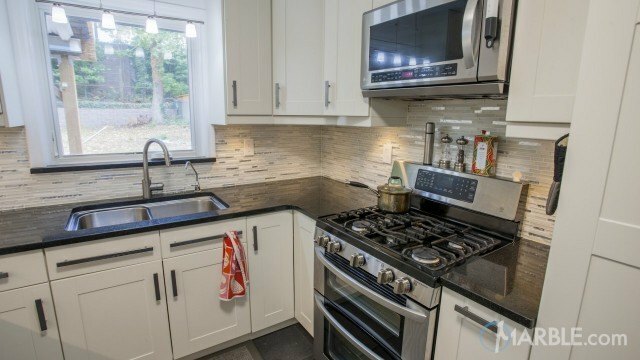 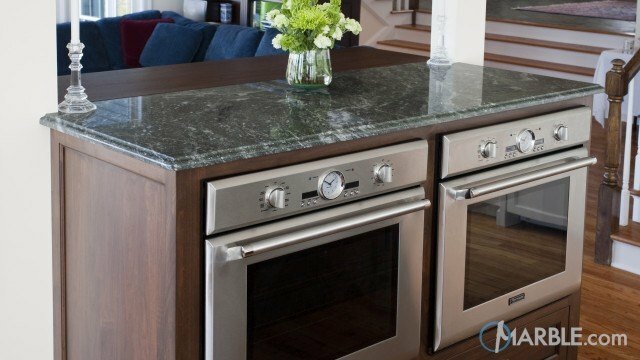 Stainless steel appliances and modern hardware finish off the kitchen.